that will take great care of you at your event or on your special occasion. Would you like train to be a toastmaster? We provide toastmaster training courses on a one to one basis - so that you get individual attention and a course delivered in the way and style that suits you. Train to be a toastmaster? If you are running any type of event and would like the services of a professional toastmaster or Master of Ceremonies to help with the smooth running and success of your function, you are in the right place. Events covered but not restricted to those listed include;- Weddings of all types and cultures, Masonic Ladies Festivals, Gala Events, Banquets, Diplomatic Functions, City functions, Civic and Civil Occasions, Film work, Dinners and Charity events of all kinds. Professional Toastmasters for Hire for your Wedding or Corporate Function to help and care for YOU and YOUR guests. Please go to the OUR TOASTMASTERS page and select a toastmaster from our list of members. If you want to train to be a professional toastmaster or Master of Ceremonies to help with the smooth running and success of any types of functions, you are in the right place. We are not Toastmasters International. We are not a training organisation for people that wish to be better at public speaking. If you want to train to become a toastmaster, please read our Code of Ethics first. If you agree that they are for you, you will be invited to train to the highest standards. If you do not agree with them, please save yourself a phone call. Other organisations do not have the same standards and we are proud of ours. You are assured of ongoing support and training at times to suit you whilst you are a member. Please go to our TOASTMASTER COURSES page and see what we have to offer and read some of the testimonials from over 100 very happy clients who have attended our toastmaster courses and training days or phone 07971 409977 or 01245 222392 now for a friendly chat and helpful advice. An existing member of The English Toastmasters Association, professional toastmasters or Master of Ceremonies please go to our Toastmasters Training Meetings Page to see our Forthcoming Events List for members or go to our ETA Members Area and use your login details to obtain access. There is always new information to help you gain the edge. 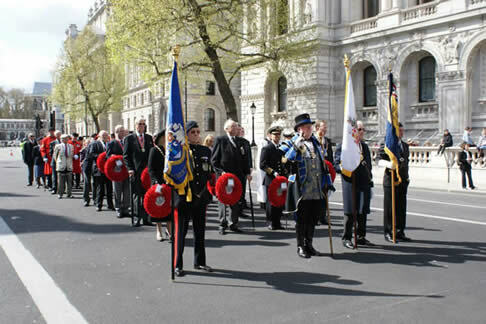 We will then go to Westminster Abbey for a small wreath laying ceremony at the Tomb of the Unknown Warrior. 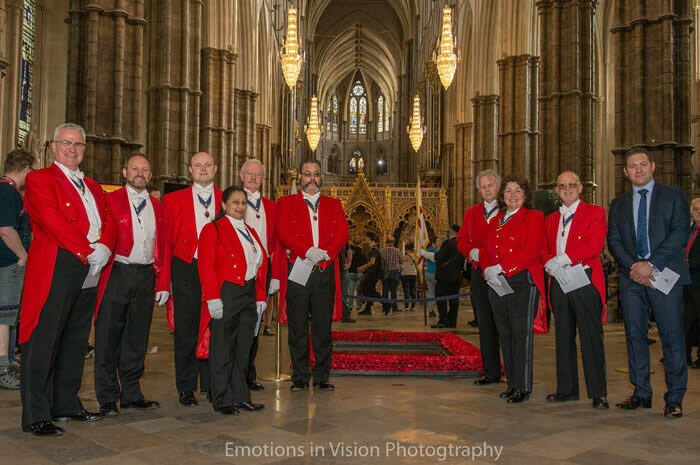 After the service in Westminster Abbey, lunch will be at The Strand Palace Hotel, 372, The Strand, London WC2R 0JJ, followed by a relaxed afternoon with time to introduce discussions to improve performance for our member toastmasters. followed by our members meeting and time together to chat and build relationships. After the service in Westminster Abbey, lunch was at The Strand Palace Hotel, 372, The Strand, London WC2R 0JJ, followed by a relaxed afternoon with time to introduce CPD to improve performance for our member toastmasters. We started the day with breakfast at 8.45am and on to the Wreath Laying Ceremony at The Cenotaph, Whitehall, London at 11.00am. We then went to Westminster Abbey for a small wreath laying ceremony at the Tomb of the Unknown Warrior. Lunch was at The Strand Palace Hotel, 372, The Strand, London WC2R 0JJ, followed by a relaxing afternoon tea and time together to chat and build relationships. with members in full uniform all day. We gathered in King Charles Street, SW1A 2AH (just off Whitehall) in London, prior to the Service of Remembrance and Wreath Laying at 11am. Members of the Cadet Forces, accompanied by music from an ATC band were on parade. 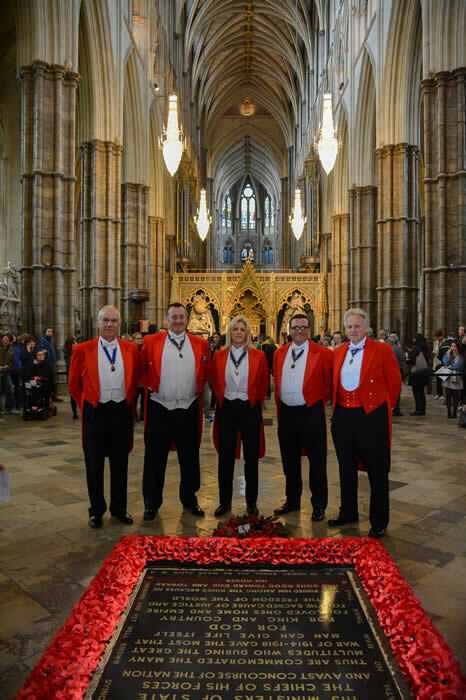 We then accompanied the official party and moved to Westminster Abbey, 20, Deans Yard, London SW1P 3PA for a small wreath laying ceremony at the Tomb of the Unknown Warrior at 12 noon. 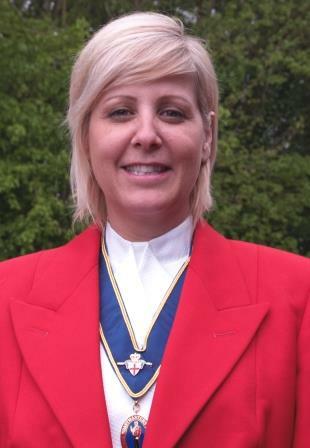 Would you like to book a toastmaster? - Our quality professional toastmasters are available for all types of events. Experience the difference and all that is best in our profession from the Association that cares for our member toastmasters and their clients! Some of our news items. A splendid entry for a beautiful bride and charming groom at The Sandbanks Hotel, Poole, Dorset. There were seven toastmasters from The English Toastmasters Association, with six to make a splendid greeting at the entrance. We were there to make sure that there was the most spectacular entrance for our very special couple. Never before have toastmasters presented themselves to form a guard of honour and an arch of steel. This was made altogether more special for us all, as the bride groom is one of our members. Spectacular and fun for everyone and with real love in the air, it was a truly wonderful afternoon. The smiles say it all. Wow what a day. Lots of love and very best wishes go to Laura and Andrew as they start their new married life together. A wonderful couple who deserve the best will always be in our hearts. Celebration sword arch (Arch of Steel) for the guests and bride and bride groom on arrival. A big thank you from Andrew;- What can I say? You certainly did pull all the stops out for Laura and me. You made our wedding day very special indeed. Thank you so much for what you all did for us. All of our guests complimented us on the outstanding and impressive Arch of Steel that was arranged for the arrival of all our guests! The whole day was thoroughly enjoyable; lots of smiles, laughter and good company! Our Trafalgar Day Meeting in October 2014 took place at the County Hotel, Chelmsford with morning and afternoon sessions. A big thank you to all those who attended our special day and to the staff at The County Hotel in Chelmsford for their most excellent service. At the County Hotel, Chelmsford with morning and afternoon sessions. In the middle of our day, The English Toastmasters Association Danbury Branch of The Royal Society of St. George enjoyed our St. Georges Day Celebration Luncheon with special guests that included three members of the Council of The Royal Society of St. George, The Chairman Clifford Trowse, Vice Chair Joanna Cadman and General Secretary Elizabeth Lloyd. 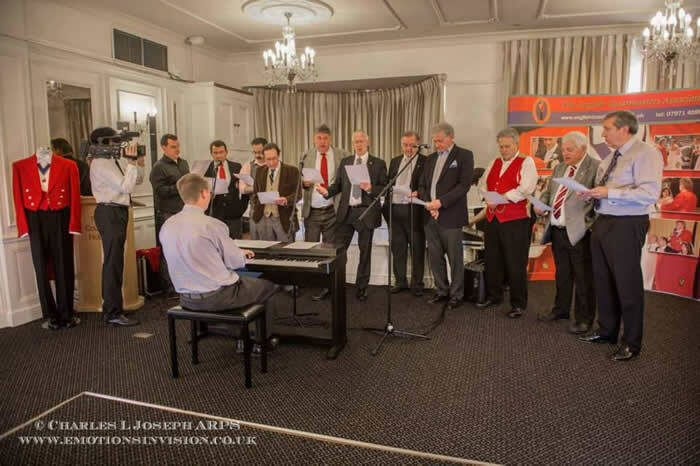 The pictures above show ( on the left ) our morning choir practice and recording of our backing track ( on the right ) our members together with Clifford Trowse singing the Masonic Song to the Ladies. We recorded our backing track in the morning with the help of Andrew West (ETA member) on the keyboard, Sam Dimond from Spotlight Sound looking after the recording, Charles Joseph from Emotions in Vision Photography and Harish Patel videographer. We then used our backing track as an aid to singing The Song to the Ladies as an opening to our luncheon. Linda Palmer took the session for our lady members, who got the first practiced version of our efforts, along with our guests. Our meetings are to encourage networking and learning together in a structured environment. We were pleased to invite Charles Joseph as our guest speaker and Charles kindly took some photos which included the two shown above. By working and learning together we benefit from the experiences of our friends and colleagues and build relationships which lead to sharing work and improving our knowledge and professionalism. 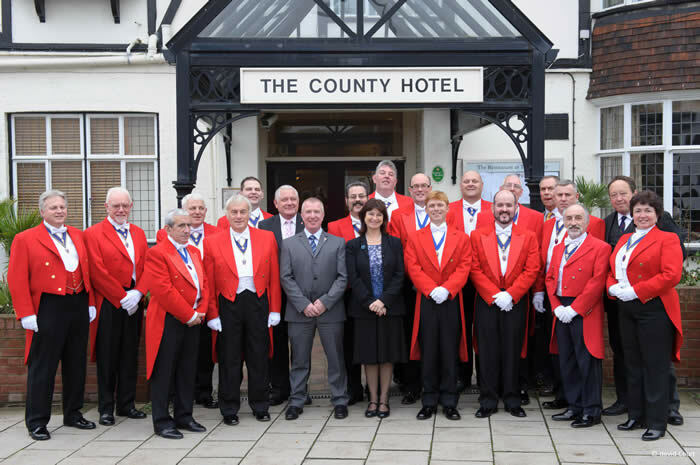 Thank you to all our members and guests, with a very big thank you to the staff at the County Hotel, who are always excellent and provide fantastic food. Essex based toastmaster William Biddle's details are to be found here. 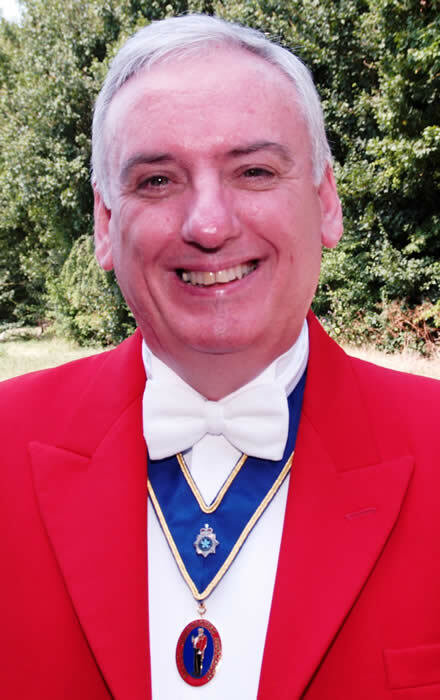 Essex based toastmaster - Wayne Griffiths M.E.T.A. all your guests on your special occasion. everone attending your function is made to feel very special. My wife & I recently got married at the Barn Brasserie and WOW. On the day Wayne (Master of Ceremonies) was Absolutely Fantastic he took care of us and all the little things that needed to be done on our big day, From start to finish our day was Amazing! 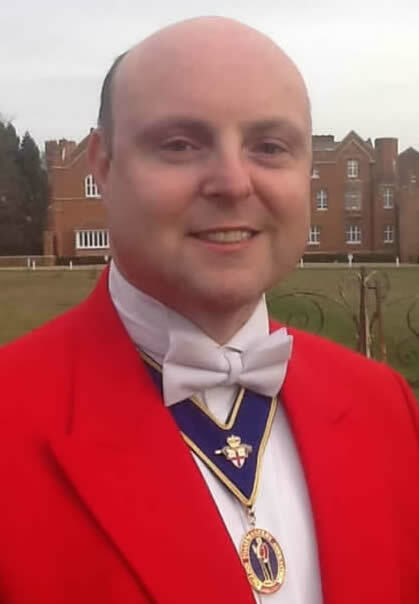 Essex based toastmaster - Simon Eve M.E.T.A. Simon lives in Southend - 0n - Sea, Essex and has been trained by The English Toastmasters Association to takle great care of you and all your guests at your special occasion. Simon will be delighted to look after you and make sure that everone attending your function is made to feel special. 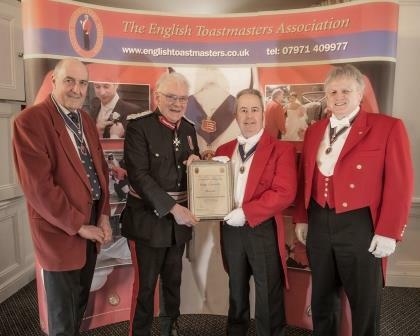 Kent based Toastmaster - Simon Chapman M.E.T.A. 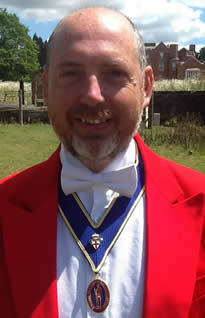 Simon Chapman is a fully trained Toastmaster and Master of Ceremonies. quite simply, the best day of your life. 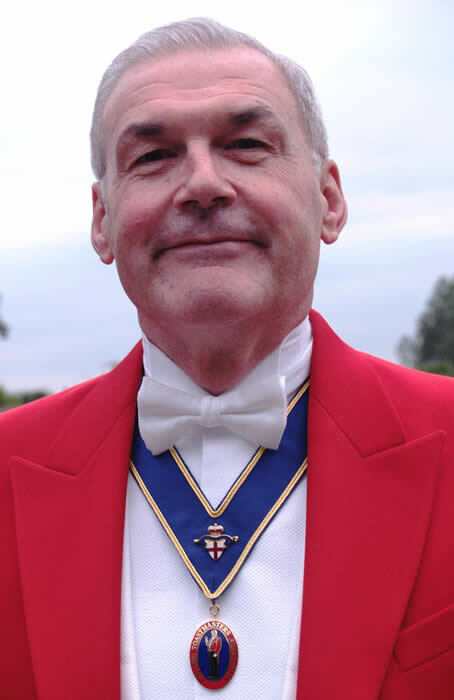 of William Knightsmith, the very first toastmaster to put on the red tailcoat in 1894. You can get in touch with Michael on 00353 85 7147070 for more information Michael Bergin. More information is now available on Michael's page on this site. 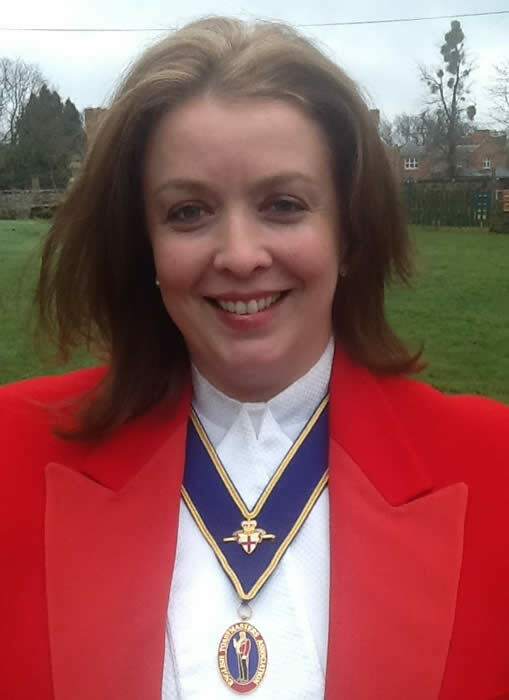 As a professionally trained English Toastmaster - Toastmistress, I work front of house and behind the scenes for you. It’s your day and it goes past so quickly. Using my services as your toastmaster means you can relax into the day and enjoy every minute of it. With over 20 years’ experience in the organisation of business events, functions, fundraisers and charity balls, I offer you a wealth of knowledge, experience and reassurance that you can trust me to organise and conduct your day, your way. I am only ever a nod away. 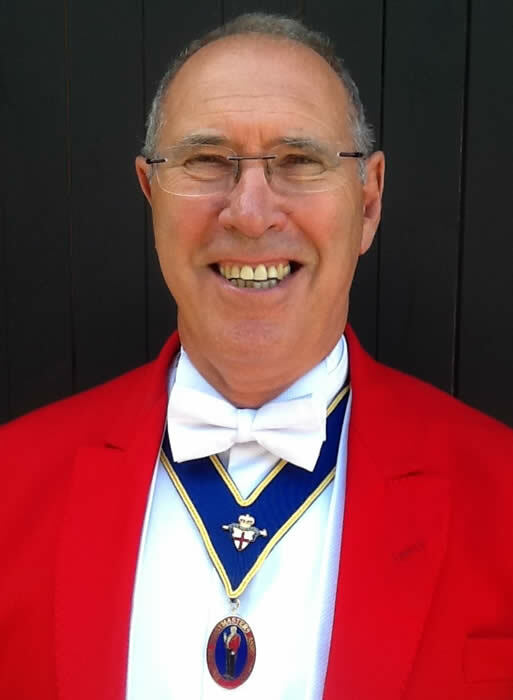 Allan has been caring for his clients for many years and has now completed his training as a toastmaster to be able to offer a fuller range of services. Allan is a friendly and kind gentleman who is focussed on the details of his work to make sure that you get what you want at your event. He is passionate about offering excellent services to his clients in a friendly manner taking great care whilst being honest, conscientious and striving to maintain the very high standards of our profession. A great communicator that will help to make your event remembered for all the right and good reasons that an excellent toastmaster will do for you. Mike's aim is to make your wedding, special occasion, corporate event or function of any kind, run stress free, smoothly and efficiantly. 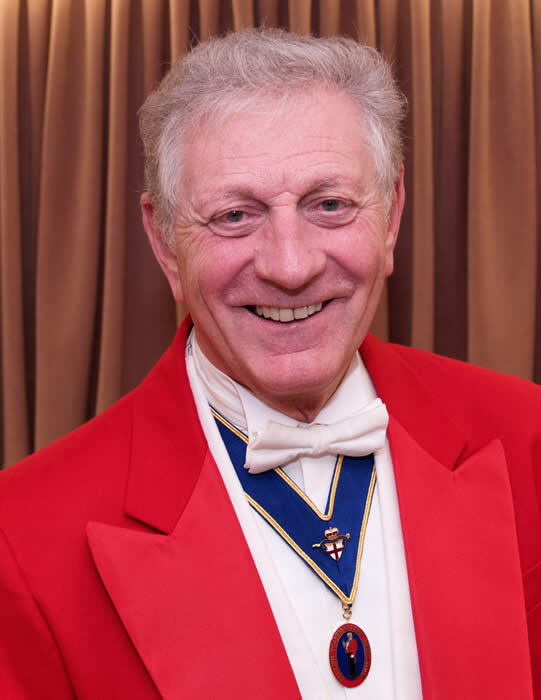 If you would like your event, to be remembered for all the right reasons, Mike is that experienced toastmaster to act as your guiding hand that will be there for you to make your day or event even more special. Mike will tailor his services to suit you and make sure you get the wedding of your dreams. For corporate functions, Mike will be pleased to work with your organisers and staff to deliver your event in a way that will enhance your company image and deliver the results that you are looking for. 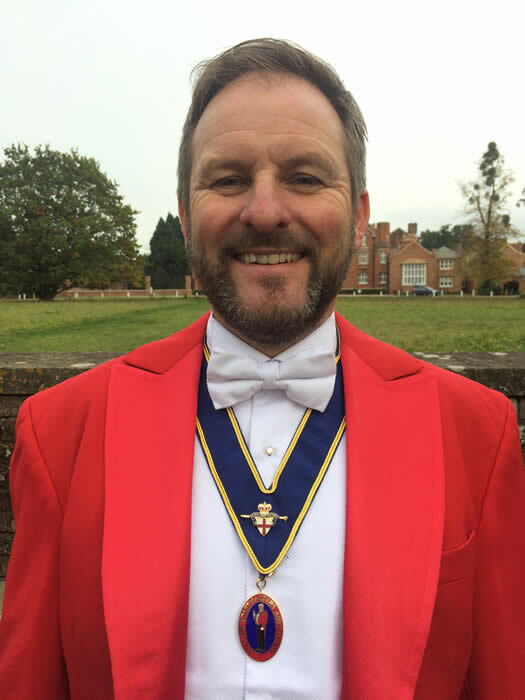 For charity fund raising events, Mike will bge pleased to help your event run smoothly using his skills as a toastmaster and master of ceremonies and will add that extra value to your event as a specialist charity auctioneer. Stephen has been in the hospitality business for over 40 years and has worked closely with very happy clients during this time. Stephen has a wealth of experience at both formal and friendly events and has a great deal of experience in event planning and co-ordination with weddings having been a major part of his work. 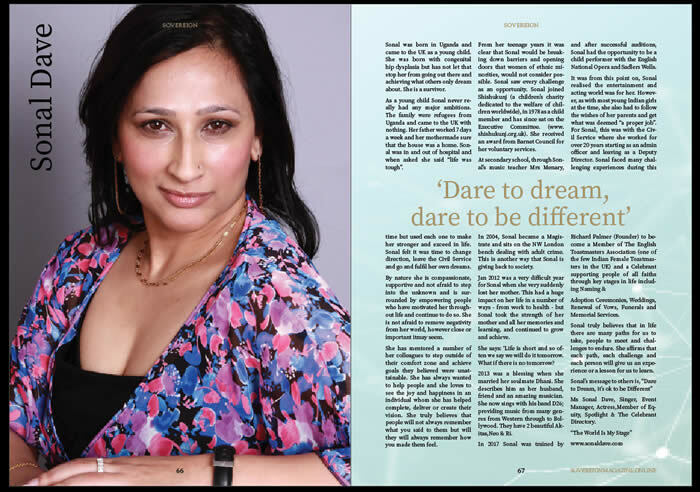 Sonal is a professional toastmaster with a wealth of experience in the wedding and entertainments industry. If you are looking for an experienced wedding and events professional to make sure that your event runs like clockwork and all your guests are treated with care and made to feel special, you have just found the toastmaster of your dreams, to make your dreams come true. "If you are looking for a professional and down to earth Toastmaster with style and a sense of humour then that's me...."
A little about my background, I have worked over 15 years in the entertainment industry as a master of ceremonies, actor, TV extra, presenter on live shows and onboard celebrity cruises with a five star cruise line as part of the entertainment. "If you choose me as your toastmaster I will make sure that every single detail at your event is met to your expectations. I am pleased to take direction from you as to how you would like me to be as your representitive and how you would like your event to be ran, after all, your wedding is my honour and pleasure. “Traditional with a twist” That is how I have often been described! There is no doubt that ‘Toastmastery’ is steeped in history and part of its charm is to bring a sense of formality and gravitas to any event in ways that really enhance the occasion. But these days, the role of a ‘Master of Ceremonies’ needs to go beyond that of what was familiar to Toastmasters in the rein of Queen Victoria. I see my role as not only providing that invaluable role of ensuring things run smoothly and that you spend your time enjoying your day and not worrying about a thing, but that I do it with good knowledge, good eye for detail and good humour! I pride myself on being a ‘people person’ and every event, whether a wedding, formal dinner or any public or private event is full of people – you, your guests and those who are providing services such as venue management, catering, photography etc etc. They are ALL my customers and when we all work together you will have a day to remember. if you live ‘A life, less ordinary’, then choose a Toastmaster less ordinary! 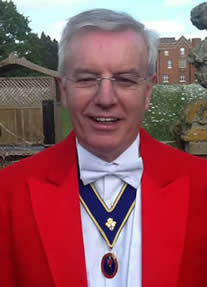 Essex Toastmaster - Trevor Ducker - also working in Suffolk, Cambridgeshire, Hertfordshire, London, Surrey and Kent. Trevor is an experienced Director of Ceremonies and will be pleased to take care of your event. He will make sure that everything runs in the way and style that suits you. You should enjoy your event or special day, safe in the knowledge that you have an experienced toastmaster to look after you and all your guests. 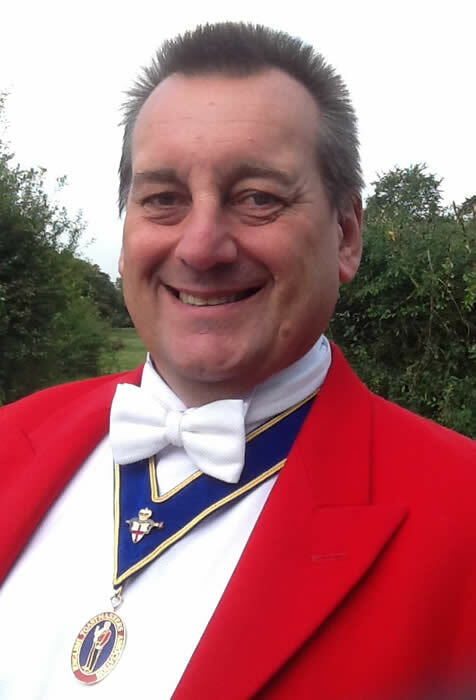 Trevor lives in Essex and will travel to the counties around Essex to be your professional toastmaster and master of ceremonies. 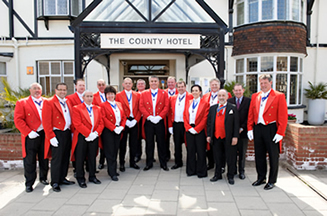 Your event will be in safe hands and you will be able to relax, knowing that you have a professional caring toastmaster at the helm. Your function is unique and Trevor will gear his services to you and offer you an exceptional personal service with excellent quality care. Michael will take great care of you at your event and make sure that everything runs in the way that you would like it to, taking the pressure off of you so that you may enjoy your day. Michael works in Essex and Suffolk and is prepared to travel. His services as your professional toastmaster and master of ceremonies would be invaluable to you. Your wedding day should be one of the happiest days of your life and Micael's professionalism and passion will allow you to live your wedding dream. Michael treats every function as unique which guarantees you an exceptional personal service with excellent quality care. Whether you are having a grand event at an event ready venue, or a marquee in the middle of a field, I am pleased to offer various wedding planning packages that provide the right amount of support to suit your budget as well as my toastmaster or master of ceremonies services. I am looking forward to making your occasion run as smoothly as possible. As I served in the Royal Navy for many years and subsequently have been a Health and Safety Consultant, I would be pleased to take care of you at your special occasion with professionalism and commitment and all the experience of looking after my clients with care and consideration. With this experience I can bring a broad depth of knowledge to your function enabling it to run smoothly and have the appreciation of the subtleness required in the organisation of your very special occasion. You and your guests will be able to get great benefits from a caring and guiding hand and the personal friendly approach to your needs. Your event, whatever it may be, will be conducted with the highest level of professionalism and integrity. Always with a smile and a sense of humour. You may safely place your special day in my hands and relax to enjoy your occasion, knowing that an experienced professional will be working on your behalf to ensure that your function is run correctly just as you want it to be. A great wedding toastmaster and or master of ceremonies for London, Surrey, Sussex or anywhere in the UK and abroad. Being fully mobile with a superb vehicle that carries her equipment and offers professional changing and administration facilities, Joan is able to offer the highest level of services throughout the UK. With 40 years customer and client facing managerial experience in a corporate environment, my planning and organisational skills, plus attention to detail are first class; resulting in a 'best of the best' experience. Ensuring a smoothly run event which will give you time to relax and enjoy your very special occasion, completely stress free. Whatever your event, I will take the weight and worry from your shoulders, ensuring your guests are in the right place at the right time and that those details, so long planned, come to fruition and your day runs according to your wishes. My aim is always to exceed your expectations in everything that I do, to be courteous and respectful, upholding the code of ethics of the English Toastmasters Association. I carry with me an extensive 'emergency' kit (ranging from safety pins, to sewing kit, to spare glasses and much more) so that I can help you and your guests with any small emergency, should it arise. Based in Chelmsford, I am happy to travel throughout the UK to attend your funciton. Your event is my immediate concern. 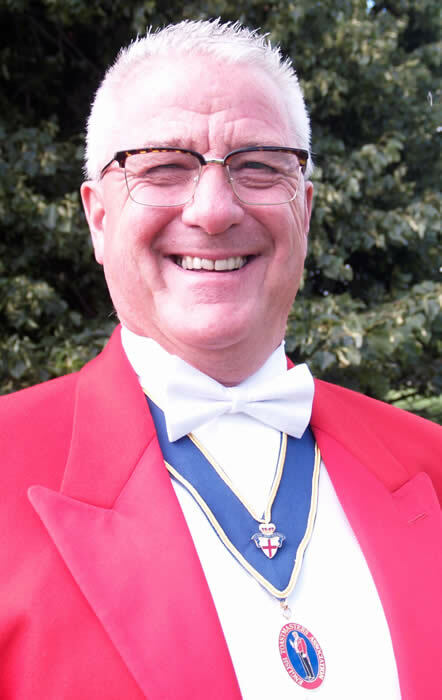 I am a Toastmaster and Master of Ceremonies available to support and help at your special event, whether it’s a wedding, Masonic Ladies Festival, civil ceremony, corporate occasion, sports event, awards ceremony, charity ball or trade show. Whatever event you require my help with, you will receive a professional, dedicated, reliable and expert service to ensure an occasion to always remember and cherish, with the right balance of flexibility and formality. Please contact me to discuss your particular requirements, with no obligation on 07774 150399. For your wedding or event I would be pleased to offer you my services as your toastmaster and will ensure that your function runs smoothly and in the way and style that suits you. At our Christmas meeting to day Tuesday 17th December 2013 Charles L. Joseph was made an Honorary Fellow Member of The English Toastmasters Association. 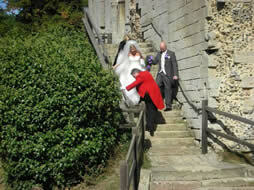 Charles is a professional wedding photographer based in Rayleigh, Essex. Charles has worked closely with us over the past year and has helped with the provision of some excellent photographs for our Association and some of our members. He is a most excellent photographer for weddings and coreporate work, as well as a stunning wildlife photographer. 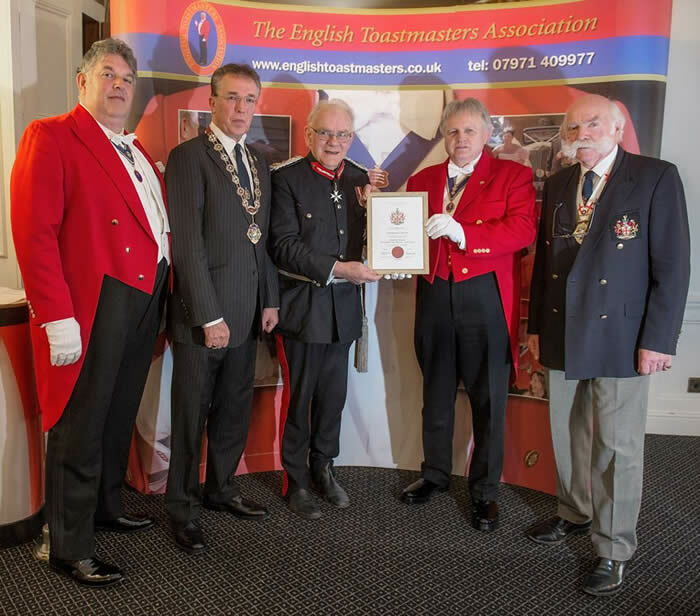 Charles has been a real pleasure to work with and we are proud to introduce Charles as an Honorary Fellow Member of The English Toastmasters Association. Thank you for your kindness to our Association and for your constant help, support and input. I care passionately about your event and helping you to get the best day of your life. I may be working with you and for you long before your day. I will be delighted to look after your function and treat it as a one off special which guarantees you an exceptional service. I am equally at home in formal or more relaxed circumstances and have significant experience in event planning and co-ordination, ranging from intimate weddings to Royal visits. I will make sure that your special event is as stress free and as well organised as it can be. 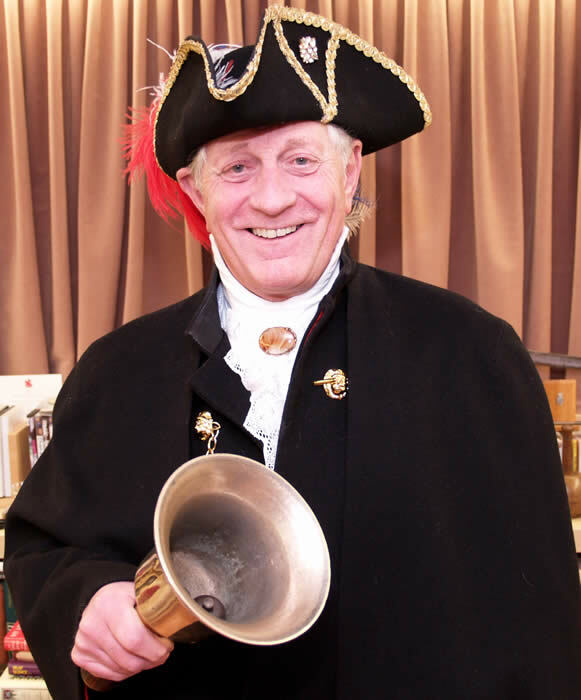 Mel is also pleased to be your town crier if you need any fast publicity or attention to a special event, including shop openings, new events, festivals, charity events and anywhere where you wish to have fast and interesting publicity. Situated in Tattershall Lincolnshire, Ben also spends much of his time in London and can be called upon for events in either location or further afield.A true English gentleman with extensive experience of organisation and a pedantic approach to detail, Ben is able to draw on his previous experiences as a former SNCO in the RAF Regiment and employment in hospitality. 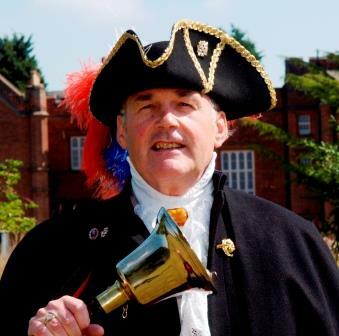 A genuine professional ready to serve makes Ben the ideal Toastmaster for you. George has a real passion for quality service and loves taking care of his clients and their guests at weddings. 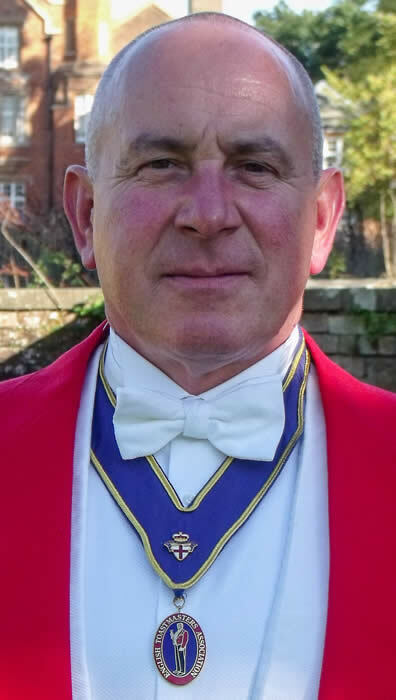 George is also pleased to offer his services for Masonic Ladies Festivals and having been through the chair, understands the importance of making your occasion even more special by taking great care of your proceedures and adding a special touch of celebration in a kind and thoughtful manner. If you would like to talk to George about his services please have a look at his page for more information. Since finishing his service career in the Royal Air Force, David has been employed as a Registrar of Births, Deaths and Marriages and has conducted many marriage and civil partnership ceremonies. David commented "I have enjoyed looking after the many brides and grooms who I have had the pleasure of marrying over the past five years. I have enjoyed this work so much that I would like to do more for the happy couples that I will be working with in the future. 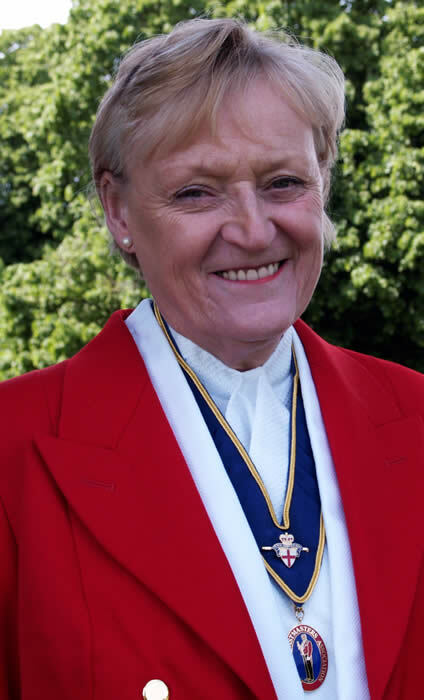 I feel that I am ideally suited and experienced to provide you, as a potential client, with the excellent quality of service you would expect from a Toastmaster or Master of Ceremonies to make your day even more special". Our meeting on Thursday 27th June was also attended by Ian and George Marshall from the Met Police who joined us on the 24th July. Please see our members' page for more details. If you are a toastmaster and are not busy and are wondering why, put yourself out there. As we used to say when I was a scout. "Do someone a good deed every day." It will all come back to you and will leave you with a warm and caring feeling. You will meet great people that are helping their communities and they will talk about you and introduce you to their friends and their community. This, to my mind, is a much better way to get yourself known and far more fun than sitting at a stand at a wedding fair. All our members work to a strict and published Code of Ethics to raise the standards in all areas of our work. raise the standards of conduct and service for our clients. we will be pleased to offer free help and advice at any time. Please also note that our contracts do not specify that you should feed us or offer us any extra gratuities whatsoever. It is our honour and pleasure to serve you. Our Branch of The Royal Society of St. George was honoured to be invited to celebrate St. Georges Day in wonderful company. The members of The Royal Society work so hard at their headquarters in Loughton Essex. They put so much time and passion into their work to showcase and support all that is the best of our English heritage and Englishness in so many forms. We will be dedicating a page on this site to keep you up to date with our work and support for this charity, which we feel is absolutely in line with our own ethos. Thank you for making us feel so welcome and special at your wonderful celebrations. Wow! What a day. Great company. Interesting agenda. New members. The picture left above shows The Lord Lieutenant of Essex - Lord Petre, presenting Roger Unsworth from Swindon, Wiltshire, with his framed membership certificate. 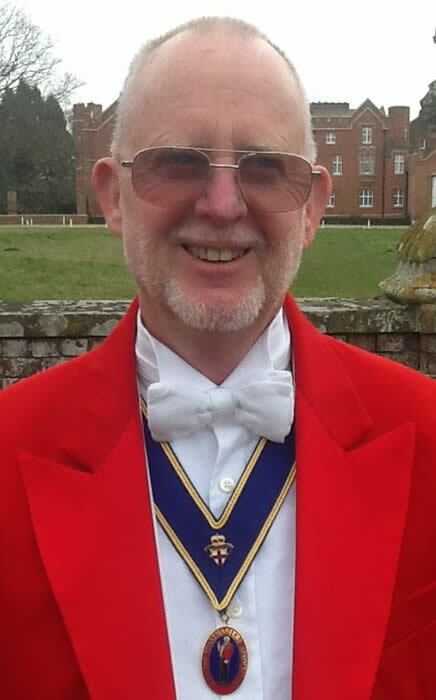 Roger was our latest toastmaster to complete his training and after 35 years in the RAF, has plenty of experience of running events of many different types and sizes to extremely high standards. 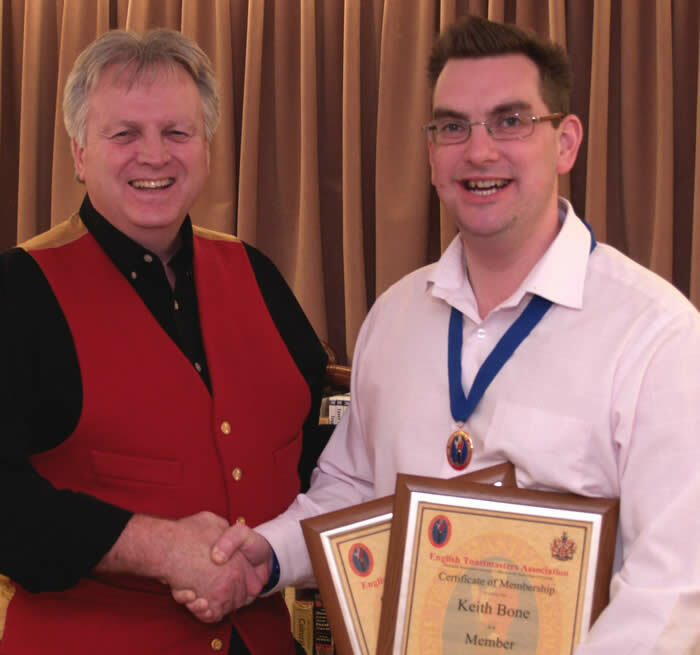 Also in the picture are Patrick Stevenson (left) and Richard Palmer (right), who both wish Roger every success with his work as a toastmaster covering many different types of events both locally and throughout the world. 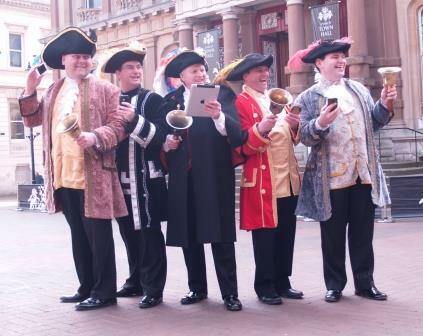 “HEAR ALL ABOUT IT” ITS ALL ABOUT THE IPSWICH APP! 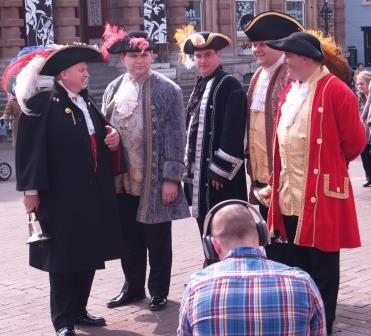 Visitors to Ipswich might be wondering why there were several Town Criers in the town centre. We were announcing the arrival of the new All About Ipswich App, now available to download for free from the App store. 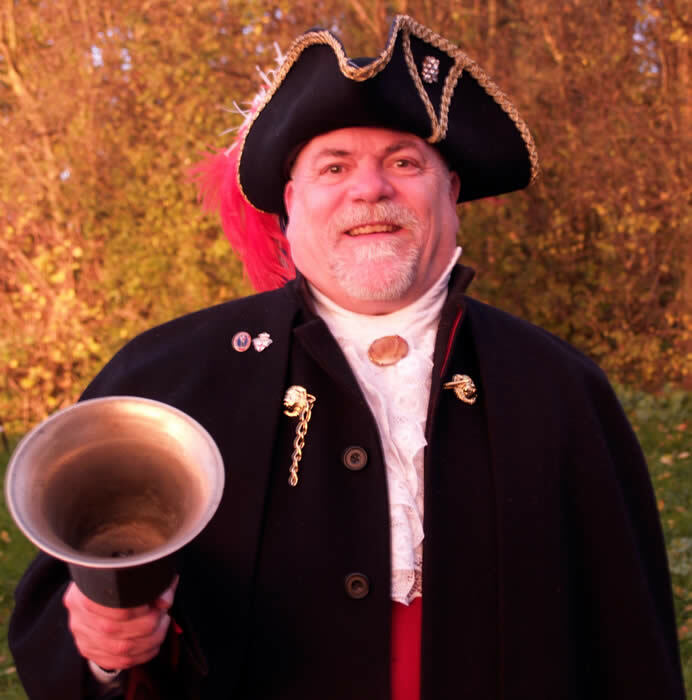 Town Criers were used as the chief means of communication in towns dating back to the 18th Century, ringing a bell and making public announcements on the street; a far cry from the way we communicate now. Communication has moved on in leaps and bounds, especially since the birth of the internet and mind-boggling technological advancements. With over a third of the adult population of the UK now using smartphones on a daily basis it is clear that these devices have changed the way people communicate and consume brands forever. Previously, visitors and residents looking for information online about Ipswich had to visit a number of websites to try and gain a complete understanding of the town and its events, amenities and activities. Without a clear, consistent identity, it could often be a confusing experience for the consumer. The launch of the app and the All About Ipswich brand signals a new era in communication for Ipswich, placing the town firmly in the digital age and showing a real commitment to proactively marketing the town to visitors – both new and returning. giving him an introduction into the ways our Association works. We all share our experiences and learn together and this has helped to get Keith off to a flying start in his new career. Keith had already experienced work toastmastering at weddings and decided to formalise his training with our Association. 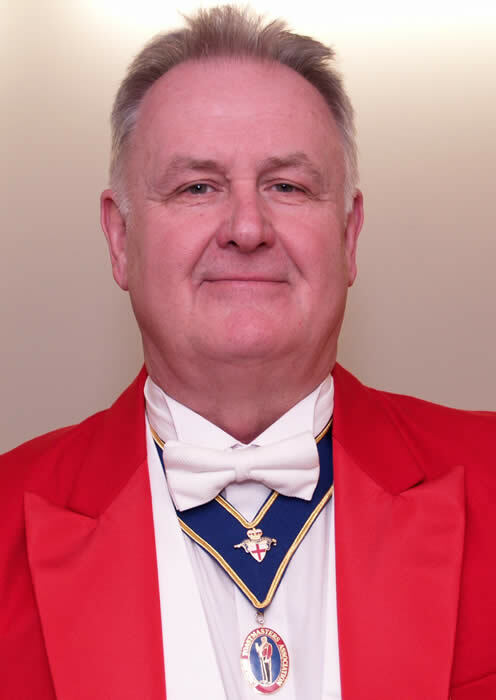 Keith commented "I have thouroughly enjoyed my training and am very excited to get cracking in my role as a toastmaster and to assist and share in my clients' happy occasions." 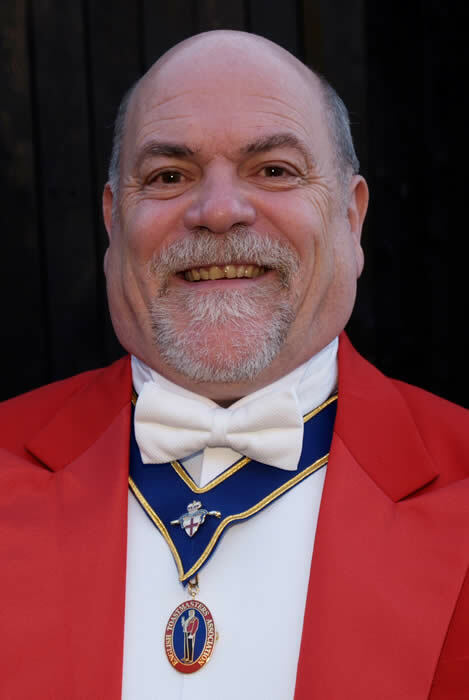 Keith is based in East Ham, East London and is happy to travel throughout Essex, London and the home counties to be your toastmaster. Neil Riley from Barkestone - Le - Vale in Nottinghamshire and has had over 15 years of experience working in banquetting with in excess of 350 weddings personally managed from arrival of guests through to the first dance. With a complete understanding of the complexities of wedding management, Neil now wishes to take his client services to a new level of personal service for his brides and grooms. 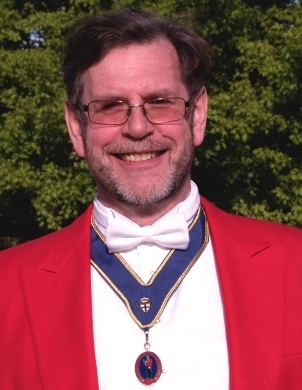 Neil identified that our course would increase his knowledge apertaining to become a toastmaster. Neil's comments are as follows. "The course suited me as it followed my kind of delivery - relaxed but highly informative." Neil went on to comment, " No one should think twice about attending this course. It will indeed be a pleasure to be a part of the English Toastmasters Association family. Both Richard and Linda are true professionals. What a day! It was great to be with such a fantastic group of toastmasters, having fun, learning together and networking. Our Association is way out in front when it comes to real teamwork. The first two questions took over two and a half hours to answer and gave everyone food for thought. By pulling together and sharing our experience and knowledge, we all help each other to achieve greater results and a higher level of professionalism to benefit our clients. We put together two tremendous lists of equipment must haves when we are working, which will offer our clients the best possible service facilities and the ultimate level of care. Well done everyone for sharing, caring, networking and enjoying being part of a great team. Our special thanks go to Charles Joseph for the great photos of our meeting yesterday and for joining us for a great day. Charles website is well worth a visit at emotionsinvision.co.uk Charles is based in Rayleigh in Essex and is a great alround photographer and great guy to get to know. "The Premier Patriotic Society of England"
On Monday 22nd October 2012, I attended a meeting of the English Toastmasters Association at the County Hotel, Chelmsford, where in my capacity as Connétable & Maître Sabreur La Confrérie du Sabre d’Or I intronised four Toastmasters as Sabreurs in the Confrérie, they having each Sabraged a bottle of Champagne. Members that are registered for Sabrage will have their pictures in an additional gallery on our members page. 1. Clear guidelines are to be followed. These will be in writing and are to be carried by the member performing Sabrage. 2. Rigorous Health & Safety procedures for this activity are to be in place. 3. Risk assessments are to be carried out and the appropriate documentation is to be on hand when you are working. 4. Fully trained toastmasters only may perform these activities. To be fully trained the toastmaster must be a current member of the Confrérie du Sabre d’Or. This means that our members offering this service have been trained by an appropriate member of the Confrérie du Sabre d’Or and will hold a membership certificate from the Confrérie du Sabre d’Or, which they will carry for inspection whilst working. Members who have their own insurance will be required to show that insurance before performing Sabrage and will not be covered by our policy until they are listed on our members page. There are no members currently listed as being covered by our insurance and further details will follow when all procedures are in place. Members that are registered for Town Crying will have their pictures in an additional gallery on our members page. Similar proceedures as for Sabrage will need to be in place and all details will follow shortly. Richard and Linda Palmer stayed in Bath for a three day training session, followed by a meeting with Roger Knight from Somerset, one of our members. We went back to Bath for meetings on the 26th and 27th February 2014 with Roger co-hosting our Thursday evening meeting. For more information about joining our Association please call 07971 409977 at any time. A New Chapter in the History of the English Toastmasters Association is Evolving. We have started a new section in our Association that sits well with much of our work as toastmasters. Some of our members are pleased to add a touch of sparkle to any function. Sabrage is an ideal talking point and photo opportunity which brings a wow to your wedding, fund raiser or corporate event. For something different that will be remembered and enjoyed by your guests give Sabrage a try. Around two hundred years ago in France, the dashing young cavalry officers in the French Army would slice the top off the Champagne bottles complete with the cork using their sabres, rather than put themselves to the effort of removing the wire basket and easing out the cork. The art of Sabrage is meeting the glass annulus at the top of the bottle below the cork with a firm tap of the sabre's edge, at the weakest point of the glass seam in the bottle. Founded in France in 1986 the Confrérie du Sabre d'Or has a serious purpose in promoting the enjoyment of Champagne and the lifestyle of fine wining and dining. Opening a bottle with a sabre adds to the occasion and makes it more memorable. Contact The English Toastmasters Association or any of our toastmasters directly for the highest level of client focussed services. We are the only Association for toastmasters to offer ongoing support and a structured career development path for the life of our members. "Why should I train to be a toastmaster with The English Toastmasters Association, especially as there seem to be so many other organisations for toastmasters?". Because we are the only Association to offer a structured training path for toastmasters to train and continue to learn, whilst networking with other toastmasters and event professionals in our line of work. Because we also have and publish more testimonials from the toastmasters that we have trained, about the quality and care involved in our training than any other organisation that trains toastmasters. Because we are stronger with our marketing for our members and with our help to develop and guide our members with their own web sites. 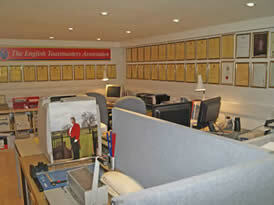 Because we are the only toastmaster's Association to have our own training facilities in our Headquarters in Essex. Because we centre the way we work around the Quality Standard ISO 2001 : 2008 which is held by one of our founder members for the quality of his work as a toastmaster. We have listed around 30 other Associations and Organisations for toastmasters on this site. Some are well established and some are new, newer or lesser known. Three Associations have only either one or two members each, so are hardly organisations for toastmasters, just giving that appearance for their one or two members. Some may give themselves official sounding titles which bear no relevance to the level of service that they provide to their customers. One actually has a President, even though it has only one member. Some Associations do not provide Public Liability Insurance for their members. 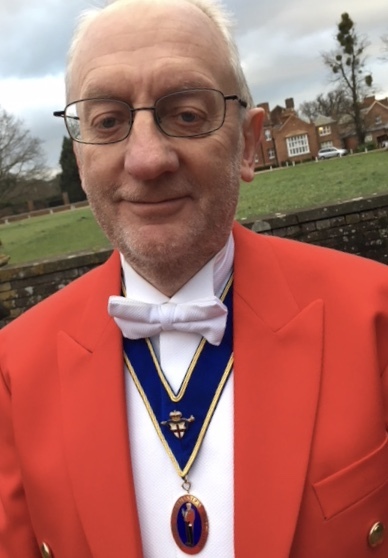 Some organisations are now being quite lapse with the standards of their members' uniforms and if you are not careful you may get a toastmaster who is not properly turned in our smart and correct uniforms. A testimonial with a difference, which may in part help to explain the way that our Association works to get the best possible results for everyone involved with your function. I would like to thank you both for all the help and assistance you provided for the above event which helped make the evening so enjoyable and such a success. Introducing me to Chris Woods to act as toastmaster was a stroke of genius on your part as you were absolutely right - he fitted the bill perfectly. I am assuming that you "tailor make" all your toastmasters to fit each occasion as well as Chris fitted ours! Your introduction to David Court ( who was an Honoury member of The English Toastmasters Association) was also very much appreciated. His photographs were remarkable and his unobtrusive presence ensured that even the most camera shy were happy to be photographed. David's generosity in allowing his photographs to be downloaded has already secured a £100.00 donation. 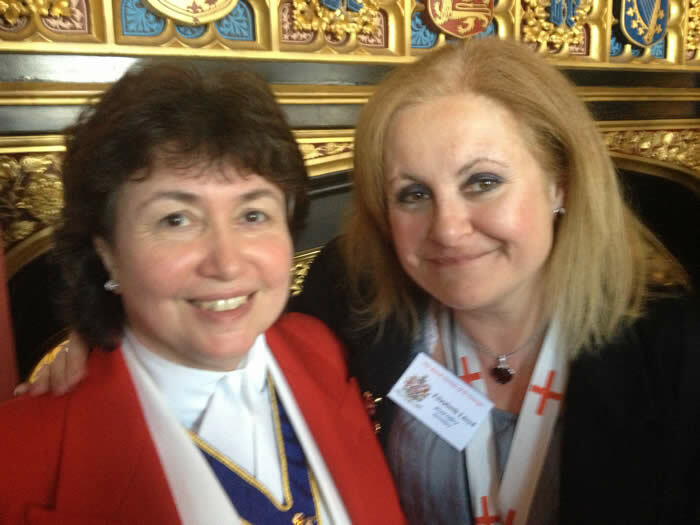 I would also like to thank Linda for all her help and support and for attending the event. It made such a difference to have someone gliding demurely and discretely around the room checking small details and providing a helping hand wherever necessary. I cannot thank you enough for the time and effort you have both put in to bring supporters to the charity. Yet again, I would have absolutely no hesitation in recommending both of you to anyone, regardless of the type or size of event, as I know you work above and beyond to make every occasion special. With kindest regards Tina Knight, District Councillor for the Wards of Debden and Wimbish, President of the Tang Ting Twinning Association. This kind testimonial to the members of our Association shows in part how our members all work together to provide the highest possible services for our clients. We have many testimonials such as this one, which go a long way to show the quality and standard of our members. We are an Association that cares about our members, the community at large and the quality of the services that we offer to our clients. If you are looking for excellent services, you could not do better that use our members services to help you at your event. Please go to http://www.englishtoastmasters.co.uk/toastmasters.php where you will find some of the best toastmasters in the business. For a no obligation chat please call 01245 222392 or 07971 409977 at any time. The English Toastmasters Association is the most proactive Association for toastmasters in many ways, including offering ongoing training and support for our members. Help, support and advice to our members' clients is also available if and when required. Through continual training and development our members are able to offer a higher level of service to their clients. 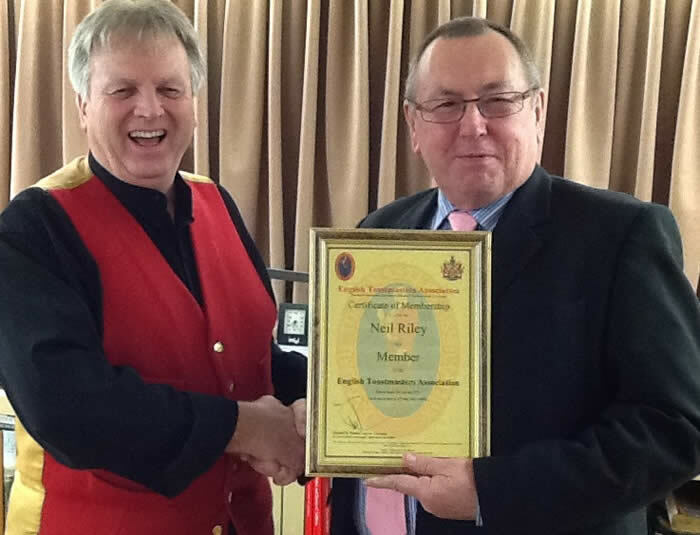 South Wales toastmaster Steve Phelps being presented with his membership and course certificates at our August seminar. The regular monthly seminars are seen to be of great value to our members and help us all to develop our skills and form stronger bonds within our Association by networking and sharing experiences. The English Toastmasters Association is unique in the way that we continue the training and development of our members with monthly Master Mind Group meetings throughout the year. We all work together to develop and bring a new level of professionalism into our work. We are proud to share our experiences to the benefit of each other as we all help each other to attain new levels of understanding of our craft. The English Toastmasters Association is the closest team of professionals in the toastmasters' profession that are working together for the benefit of our clients. We all believe that we will never stop learning and improving our services to make sure that our clients get the best service at their functions, from the toastmasters that care. J. G, likes a general chat section that helps us learn from each other and share our experiences. J. L. also enjoys the general discussion sessions and requests that we repeat this. Chris Edwards enjoys the tips and learning from our mistakes discussions and commented that the August seminar was his best seminar so far. Roy Timms commented that the continued professional guidance is always useful in our professional and social environment. Steve Phelps commented that he is glad he joined our Association and found all of the areas that were covered at the August seminar were useful and interesting. We will start by attending your wedding ceremony or service, wherever it is being held, if you would like us to do so. We will even go to your wedding practice, if you would like us to. We like to find out what you want and then deliver excellence. There is a very considerable difference between the way our members are trained to be toastmasters and look after you, compared to toastmasters who have been trained anywhere else. You will find a totally dedicated membership here. You will notice the difference between the services our toastmasters will offer you and the service offered by any other toastmasters. 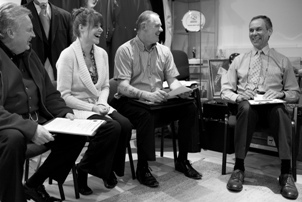 You will be made to feel special and at ease with the care that our toastmasters take to look after you. Our members will be very pleased to spend time with you to make sure that they understand your needs. Our members will be very pleased to attend your wedding, regardless of type, at any venue, to make sure that you get a whole new level of service. We do not take the fastest, easiest route to get the job done. Rather, we would like to make sure that we are giving you the ultimate experience of fine client focussed, professional service to the highest possible standards. We have a published code of ethics to set the standards in this profession and bring our profession into the twenty first century. Expectations of standards and delivery of client services are higher now than ever before and the members of this Association are raising the bar. Just one example of a new standard that is not agreed with in writing by any other Association, is that our members do not drink any alcohol whilst they are working. You may wonder why this is not a common standard in this profession - SO DO WE! If you feel that we are wrong about this statement, let us know and we will be pleased to mention you here and publish your comments. We have still had no comments, even from the Toastmasters General Council about what should be a common standard throughout our profession. The original comment from the Council was, " This is a bit strict " and our comment was. 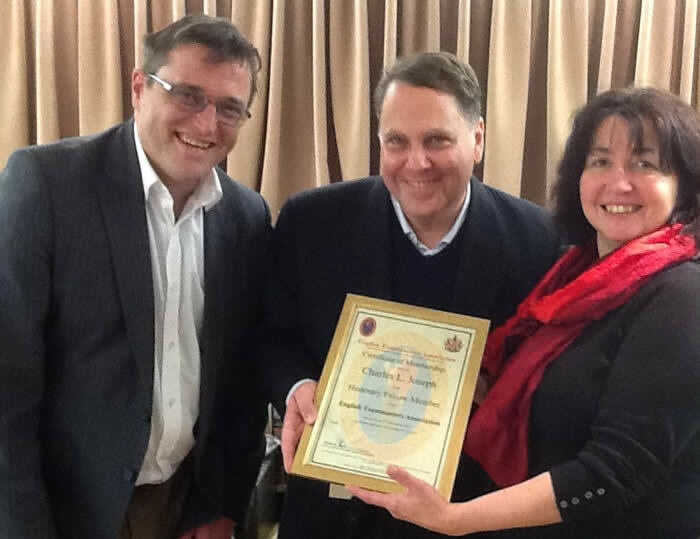 "We consider this to be professional and a minimum standard for all toastmasters. " Some movement relating to standards, but don't hold your breath! Yesterday, 11th June 2012, I spoke to John Grosse who is the secretary of the Toastmasters General Council about this and some other subjects. Some members of the Council are discussing this subject at this present time. The general consensus on this subject by most of their members is that this is the right way to go, however they are being held back by a few of the older members. Why they do not take the right decision is beyond me, but they feel that they do not want to lose any members. We also talked about the general standards in our industry and why the Toastmasters General Council have settled for low minimal standards. that ensure an acceptable high standard of conduct, work and dress." Why not bite the bullet and raise the bar in this profession to offer all our clients a higher quality service that they can rely on? We publish these standards for all to see in this Association so that our clients know that they will get a top quality toastmaster that will care about what is important to every one of them. Patent Leather Shoes that have the best polish and shine. Not bulled shoes which are never as shiny. Waistcoats that are pulled below the bottom of the red tailcoat jacket because the wearer will not buy the correct high waisted trousers. Drinking whilst working, which is not acceptable in any other profession. None of this is rocket science, but it is holding back the rest of our profession as being recognised as client caring professionals that cannot take a simple decision to get into the 21st century and up the standards. Why would anyone not want to work to the highest standards? Why would anyone not want to be the smartest toastmaster in the business? Why would anyone not want to give their clients the absolute top rate service? The only answers can be that they do not have the same care standards, self discipline and moitivation that the members of this Association strive to attain on behalf of our clients. If you are a potential client, we believe that our toastmasters will be the best choice for any occasion where you need a true professional that will care about getting you the best result at your event! 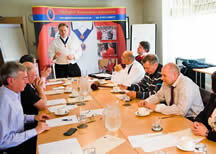 We run regular toastmaster training courses on a one to one basis. This is to focus on the information that is important to you, according to your previous experience, existing knowledge and areas of interest. Your training allows you to progress at the rate that you are comfortable with and you will not be held up or left behind because you are in a classroom situation. You do not have to be embarrassed when you want to ask a question that is important to you! We continue our programme of training, support and networking for our members with monthly seminars. Each seminar covers a different area of our work or interests within our profession and helps our members that attend these events to reach higher standards of client care. All refreshments, whilst you are training, attending meetings or seminars, are included and, if you are a member, within the costs of your annual membership fee. For more information please call 01245 222392 or 07971 409977 at any time. If you are a toastmaster and think that you are in for a quiet year this year, you probably will be. 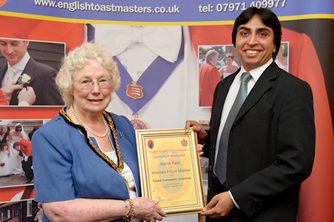 If you need help to find work as a toastmaster, that is, in part, what the English Toastmasters Association is here for. We are here for our members. 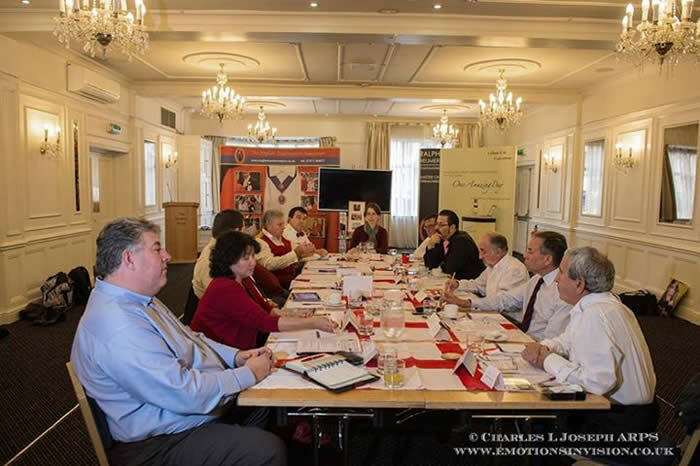 Every month we run toastmaster training sessions in the form of half day Mastermind Meetings and complete, full day training meetings in April and October. 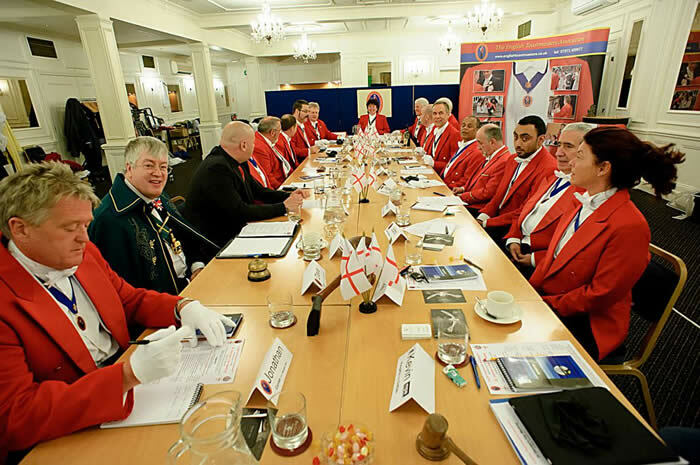 We also offer our members toastmaster training on demand at our headquarters in Essex, backed up by telephone support at almost all times and included in the annual membership fee. These training days and events are designed to get professional results in all areas of our work for the toastmasters that belong to our Association. The results are based on enjoying learning together and sharing our experiences to help each other to move forward in a constructive and enjoyable way. At the heart of the English Toastmasters Association we have a team of experts in virtually all aspects of business and business development. The English Toastmasters Association believe that, if you work hard at being professional and aim to be at the top of our profession, there is no reason why you should not achieve your goals when you get the right help and support. This does however mean making an effort. We have regular attendance at our meetings and we can see the professionalism shining through from the toastmasters that take advantage of the regular training events. For members who do not take up all the training, we understand that some have other commitments, however we are always here to help and support our members. There are no qualifications for toastmasters that are recognised by any official educational bodies. Any talk of graduating after a course is somewhat of an over statement by the course providers. If you have taken years to get your degree you would feel insulted at being told that, someone has graduated after a few days training. Our 1 to 1 toastmaster training courses have more and better client testimonials that any other courses offered by any other toastmaster organisations. Please view these on our Toastmaster Training Courses Page. We are told that our toastmaster training courses are the best in the business and our testimonials will show you what the attendees have said. 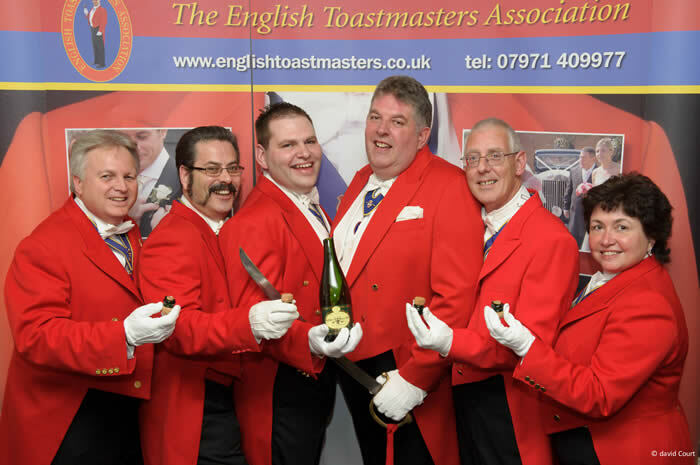 We run our own toastmaster training school from our headquarters in Essex. Please see our testimonials. We work very hard on our marketing for our members to give them a higher profile and to help them obtain work. We are often complemented, even by our competitors on the fact that our marketing is first class and on the results our members achieve when finishing their courses. We publish our code of ethics for all to see and as a means of improving client care and the perception of our toastmasters. We believe that we are the only organisation for toastmasters to include a non drinking whilst working clause in our Code of Ethics. Please talk to us if you would like to find out how we may help you to become a toastmaster or to become a better or the best toastmaster. Our toastmasters offer services at weddings, dinners, charity events, corporate events and all types of functions. You will find all the information you need regarding our services as well as our promise to you, to deliver only the highest level of care and attention to you for your event or occasion. If you are looking to hire a toastmaster please browse OUR TOASTMASTERS where you are welcome to contact any of our members directly. If you are considering learning to become a toastmaster, please feel free to contact us at your convenience to discuss your requirements, you will find detailed information about our courses on this page in the right hand column. Are you looking for an excellent wedding toastmaster or a toastmaster to look after you for your corporate function or special occasion? 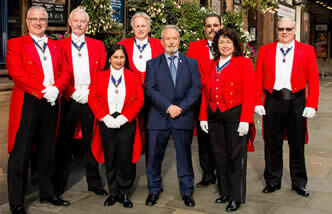 Are you looking for that special toastmaster that will go the extra mile for you and that you can trust? Toastmasters that are here to serve you! We are here to help you with your wedding, function or special occasion and to make sure that you get the day of your dreams. The English Toastmasters Association has some of the best and most caring people in the business; London is within reach of many of our members. 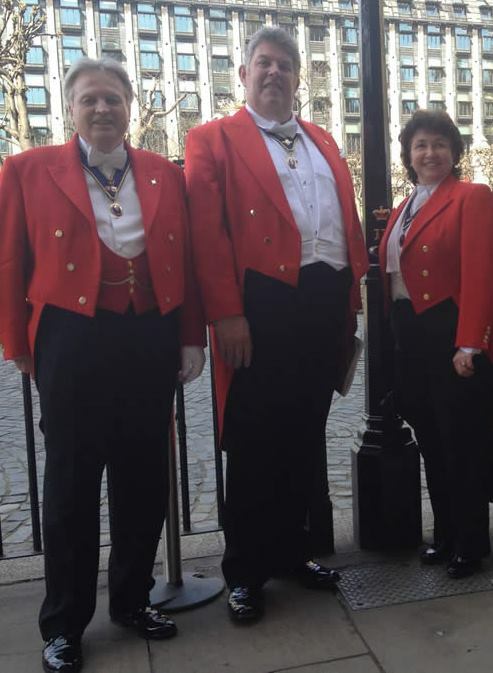 It was in London that the red tailcoat was first worn by the very famous toastmaster, William Knightsmith in 1894. Since that time it has been adopted as our uniform. We are proud of our heritage and may be seen as being the guardians of etiquette; however, we are here to work for our clients in the way and in the style that you determine. We will never forget that we are working at Your event and we are honoured to do so and are here for and to serve YOU. There are many old-school toastmasters who may think that they are at your function just to make announcements. At the English Toastmasters Association our members offer so much more. If you are holding an event such as a wedding, where it is important that you get things right, for both your own comfort and the comfort of your guests, choosing the right toastmaster is the best way to make sure that you get what you want. The duties that we are happy to undertake may be as extensive as you wish to make them. You will find that our members are passionate about the services that they will offer you. You should expect the best from our members, with a great deal of care and attention to detail from each one of them. You will get a higher level of personalised and caring services to make sure that you feel pampered on your special day. We are all trained to the very highest standards of care for you. Our services are very much more than some of the old-fashioned toastmasters would deliver. Our aim is to make sure that Your function is looked after in the style and way that You want! A toastmaster is not properly dressed without a smile! All of the members of The English Toastmasters Association (who reside in the UK) are automatically covered by £5,000,000.00 Public Liability Insurance provided by Hiscox insurance Company. 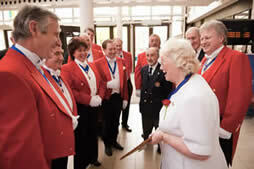 Why book a professional toastmaster for your wedding? Do you know what level of service to expect from your toastmaster? A contemporary toastmaster is a master of ceremonies and the presence of a master of ceremonies or guardian of etiquette is a long-standing tradition at most Royal and formal social events, such as weddings. We will take responsibility for keeping your reception to time and liaise with your families on the wedding day. Your wedding toastmaster may or may not become involved in wedding and event plans and as far as possible, will ensure the smooth running of your special occasion. A wedding toastmaster’s presence will be a valuable asset. We traditionally wear a very grand and glorious ceremonial tailcoat with all the trimmings, and our presence can greatly add to the colour, splendour and ceremony of your wedding. Certainly very formal or large weddings will always benefit from this colourful professional management. Your guests should be made to feel special and valued, regardless of the size of your wedding or function. 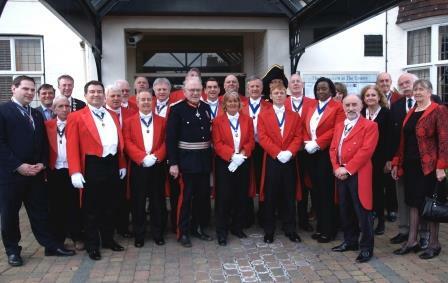 They are important to you and you are demonstrating that to them by using the services of a professional and caring toastmaster from our Association. Using the services of a professional wedding toastmaster, who is approachable and kind, will enhance your special day and leave you free to enjoy your celebrations. To know that all your arrangements are in excellent, experienced and capable hands and that you will be made to feel pampered and special; will allow you to relax on what is probably the most important day of your lives. Remember that you are making a choice and you should be comfortable and feel confident with your decision. The best advice for finding a quality professional toastmaster is to always look at the testimonials from previous brides that they have worked for. 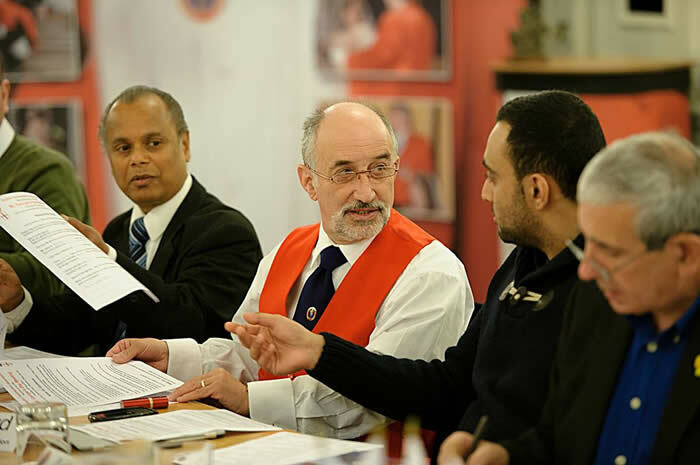 As there are no qualifications that are recognised by any official educational bodies, your toastmaster should belong to a respected organisation that will have trained them at professional toastmaster courses and have an ongoing quality procedure for making sure that they are working to a very high standard. Many of the larger organisations that represent toastmasters are no longer providing training for their members and also do not continue to check on the performance of their members or offer any further career development paths. Our members believe that we all work together to help each other improve our performance and client care, in quite a unique way. Check to make sure that your toastmaster is prepared to be flexible and offer the sort of services that you want and to deliver those services in the style and manner that suits you. 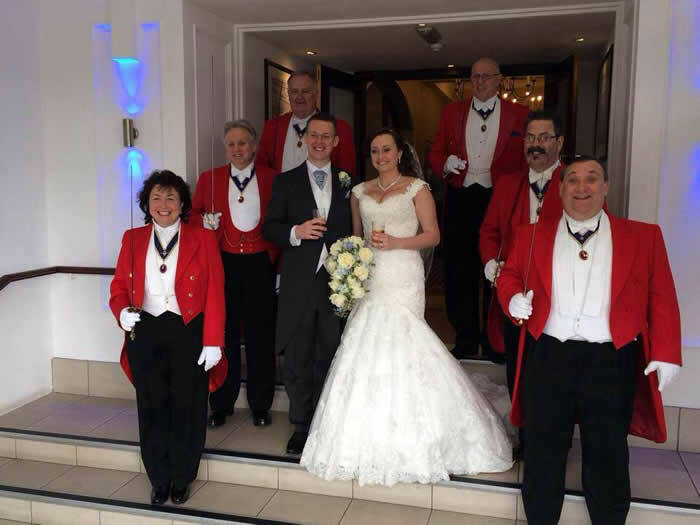 Your professional wedding toastmaster should be able to prove that they have appropriate Public Liability Insurance for no less that £5,000,000.00, which may also help to prove that they are taking a professional approach to taking care of you. Your toastmaster should also be fit enough to look after you properly, regardless of the size of the venue and the hours that you need to be covered. All our current members who reside in the UK, are covered by £5,000,000.00 Public Liability Insurance. You may think of us as your P. A. for your day, the person that you have at your disposal to make sure that everything goes the way that you want it to. We will keep control of what is happening in a discreet manor and using our experience, will ensure a smoothly run, enjoyable and memorable event. Adaptability is an important quality. 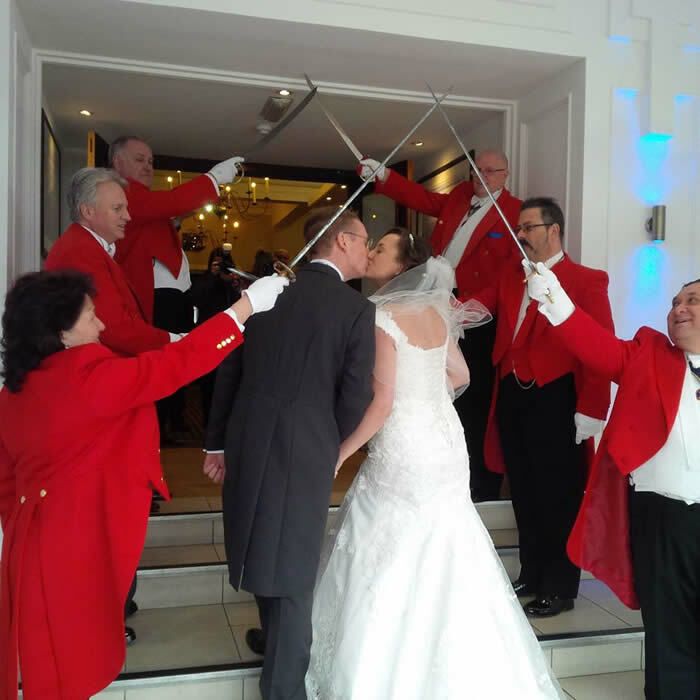 Whether your reception is being held in the smallest hall or the largest banqueting suite, booking the services of an excellent toastmaster will make all the difference to you. We will ensure that your special day runs smoothly and enhance the enjoyment of your day for everyone attending, whether they are your guests or people that are providing services for you. We will be available to help with advice on any questions that you may have, either before or on your day. We are there to look after and liaise with all parties involved, including parents, best man, ushers, bridesmaids, guests, registrars, venue management, caterers, photographers, videographers and entertainers. We will be helpful, kind and informative throughout the process of preparing and running your event. We will make sure that all eventualities have been covered, giving any required advice on etiquette and protocol, and giving you comfort in the knowledge that you have every eventuality covered. Assisting at the church, synagogue, temple or any venue where you are having your service or civil ceremony. Helping to dress any members of the bridal party or guests who may need help. Putting on buttonholes or corsages for your wedding party or guests. Greeting the bridal party and guests on arrival. Making sure your guests are in the right place for the arrival of the bride. Helping the bride with her dress, whether to carry it or display it for photos. Taking cards and presents and putting them in a safe place. Working closely with your photographer to help get your guests where they need to be for your photographs. Making sure that you are made to feel special and well looked after on your day. Arranging your receiving line and to announce your guests as they make their way into your wedding breakfast or dinner. Announcing and escorting the bride and groom to their table. Getting your guest book signed by all of your guests. Helping your speakers to gain confidence. Announcing the cutting of your cake. Looking after any of your guests that may have special needs, such as the elderly or disabled. Continually liaising with everyone to ensure the smooth running of your reception. Although our duties will vary according to the degree of formality that you require, we will warmly and professionally ensure the smooth running of your day in the way and style that suites you. Our members are able to provide their services as a host, MC, presenter, auctioneer as well as a corporate, event and wedding toastmaster. 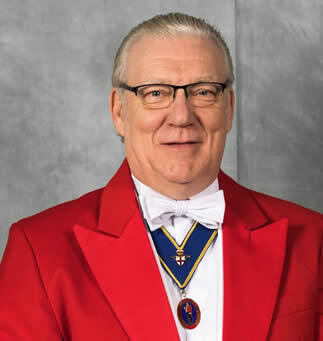 Please be aware that if a person puts on a red jacket and purports to be a toastmaster, they may not have been trained by a reputable organisation or to an acceptable level. All of our members subscribe to our rigid code of ethics, which are adopted by every member of this organisation to help protect their clients' interests. 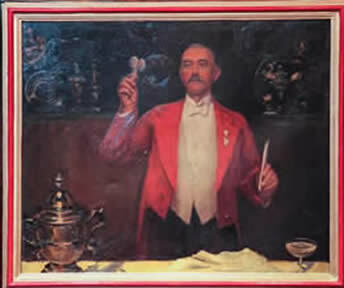 If ever you see a toastmaster drinking alcohol when they are working; they will not be a member of this Association. Some other organisations representing toastmasters arrange Public Liability Insurance for their members. Our members living in the UK each have cover of five million pounds (£5,000,000.00). Other organisations also list their members, some toastmasters definitely do not have any insurance cover. Please be aware of these facts, it is in your own interest to check out any toastmasters' credentials, before you hire them. It is mainly the larger organisations that include Public Liability Insurance within their fees. Any organisations that belong to the TGC (Toastmasters General Council) will usually have insurance for their members. We have heard of a man with the initials G. T. (2nd September 2008) dressing in a scarlet tailcoat and using our paperwork, but drinking whilst working at a Masonic ladies festival on the south coast. He is not a member of our Association and has abused a privilege by using our paperwork for a charity Masonic evening, without removing our details. He has bought his red jacket and is about to leash his presence on unsuspecting clients. One of his specialisms are Masonic Ladies Festivals. All we suggest is that you are careful and check out your proposed toastmaster's credentials. Please visit our list of wedding fairs which includes those being attended by our members. This list is updated as we get more details. Please note. The list has been compiled from information provided by numerous sources and at the time of listing it is believed to be correct and given in good faith. PLEASE NOTE It is important to check with the organisers before setting out to attend any of these fairs that they are actually taking place. Please call 01245 222392 or 07971 409977 at any time for further information. Our fellow members are people that have helped our Association in various ways. Some have helped with our research and training and all are committed to the long term aims of our Association. We are fortunate that we have such fellows as members to help in our quest for excellence in our profession. 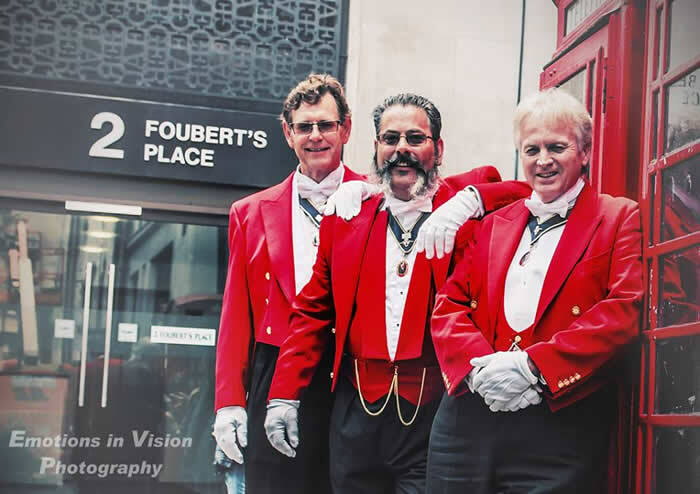 Patrick and Richard Stevenson are twins, and are the great, great grandsons of William Knightsmith, the very first toastmaster to wear the red tailcoat in London in 1894. 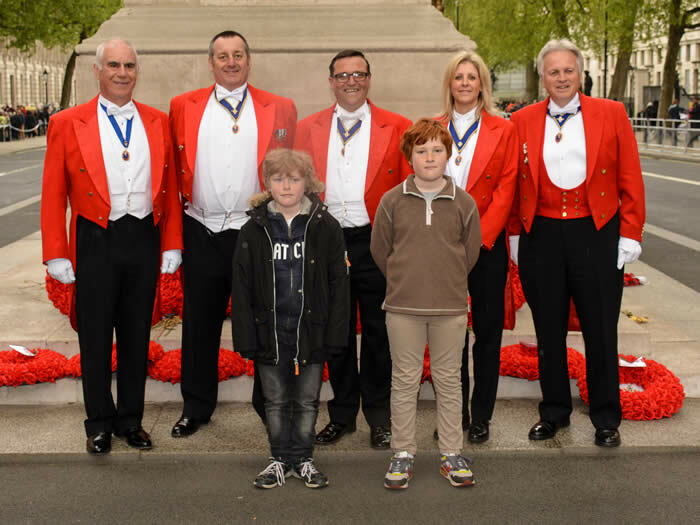 Both Richard and Patrick have been very kind to our Association with help relating to the history of toastmasters from the very first time that the red tailcoat was worn. Patrick was the first person to be offered an honorary membership into our Association for all his help, kindness and encouragement. We are very privileged to have a huge amount of information about the history of our profession thanks to both Richard and Patrick. Patrick is pleased to offer talks about William Knightsmith and the history of toastmasters. Harish is a credit to videographers everywhere, in the way that he works and relates to his clients and other wedding professionals that he works with. He runs a networking lunch for colleagues in the business on a regular basis in the north London area. Harish has been a great help to our Association and works very closely with us to help us find out more about building relationships when working with videographers and other wedding professionals. 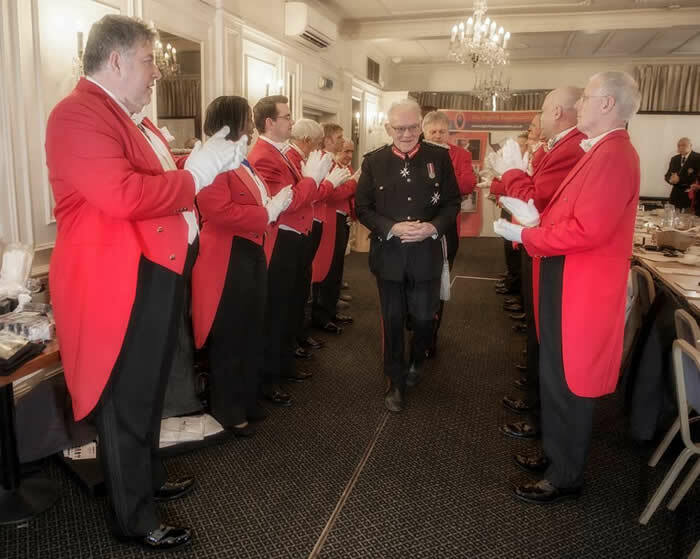 The picture ( left ) is of the installation of our first Honorary Fellow Member Patrick Stevenson, who is the great grandson of the first toastmaster to wear the red tailcoat, William Knightsmith. 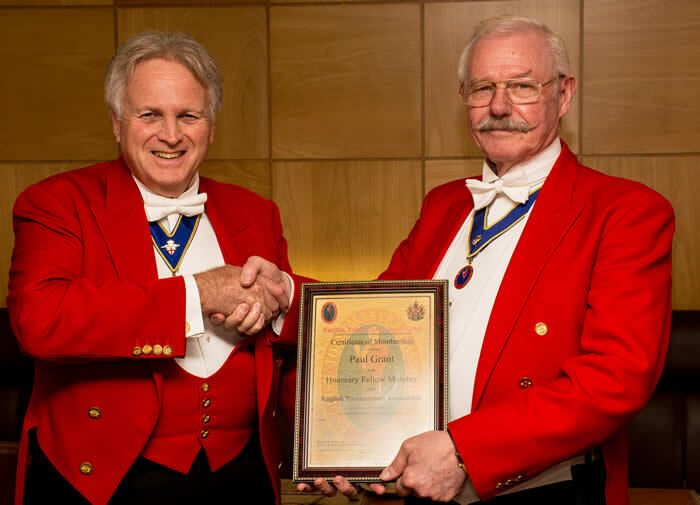 Here Patrick is shown receiving his certificate of Honorary Fellow Membership from Richard Oscroft MBE, Lord of the Manor of Romans Fee, Writtle, Essex. 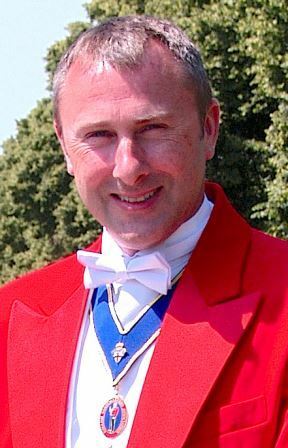 Richard also just happens to be the grandson-in-law of Harold Dean, the next distinguished toastmaster who wrote the book; My Lords, Ladies and Gentlemen and was a president of the Society of London Toastmasters. Patrick has been made a Fellow due to his kindness to our Association and his help with our research into the history of our profession. His twin brother Richard is also being made an honorary fellow of our Association. We are most grateful for their help, support and kindness. Patrick delivered an excellent and very interesting presentation about the life of his great grandfather at our St. George's Day Meeting. The pictures above and below where taken by David Islip of David Islip Photography. Thank you David for your support with our National Meeting and all you ongoing help. It was great to have the support from David Islip Photography. David kindly helped with the training at our meeting and was our official photographer for the day. We had a fantastic day and visited the Chairman of Essex County Council at County Hall in Chelmsford for a presentation. The Mayor and Mayoress of Chelmsford joined us for another presentation and lunch. Our grateful thanks for your time and kindness. 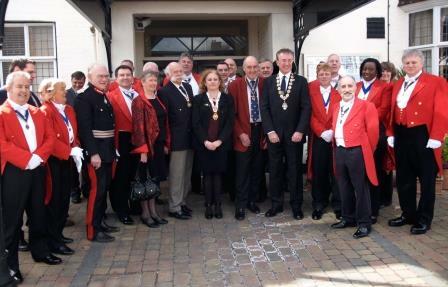 Our Trafalgar Day Meeting took place at the County Hotel, Rainsford Road, Chelmsford, Essex on 21st October 2009. Thank you to all our members and guests for attending and making an interesting, informative and fun day for all involved. Thank you too to the County Hotel Chelmsford for your excellent service during the day. Our first photo of some of our members and guests at our Trafalgar Day meeting. There was a special meeting for our members on Trafalgar Day, Tuesday 21st October 2008 at The County Hotel, Rainsford Road, Chelmsford. Our Trafalgar Day Meet and another excellent picture of some of our members from Dave Court at www.courtoncamera.co.uk Thank you for all your help Dave and for an excellent presentation entitled "My mates in the wedding business". A few of the thank you letters from our members. Just a short note to thank you for organising the Trafalgar Day Meet, it was very helpful and informative. Please also convey my gratitude to Lindsey and Matt for the effort they put in as well, you make a great team. May I also take the opportunity to thank Linda, Sue and David for the contribution they put in. Well done for Trafalgar Day - gleaned much useful information and met lovely people. Always better to speak face-to-face rather than down the phone or via dreaded e-mail. Excellent presentations. Many thanks for organising such a great day. J. L.
Well done, yet again, for all the energy and empowerment you enthuse into us at the meetings. P. C.
"There is a forgotten, nay almost forbidden word, which means more to me than any other. We are proud of the Country's glorious history and heritage! The Society owns and operates a Charitable Trust. Chairman of the Charitable Trust: Aubrey Temple Esq. The main objectives of the trust are to help and encourage young people to greater achievement, whether in fields of academe, sport, adventure or business, to encourage their enterprise, skills and enthusiasm - for nothing succeeds without enthusiasm. The Society is a patriotic society and is honoured to have as its Patron Her Majesty The Queen. Its Objects as laid down in its Royal Charter are:(i) To foster the love of England and to strengthen England and the Commonwealth by spreading the knowledge of English history, traditions and ideals. (ii) To keep fresh the memory of those in all walks of life, who have served England or the Commonwealth in the past, to inspire leadership in the future. (iii) To combat all activities to undermine the strength of England or the Commonwealth. (iv) To further English interest everywhere to ensure that St. George's Day is properly celebrated and to provide focal points all the world over where English men and women may gather together, The Society is un sectarian and independent of party politics. Membership is open to: (a) All those who subscribe to the Objects of the Society; and(b) are born in England or wherever born being English men or English women or children or remoter issue of the same; or(ac) Not being of English descent nevertheless support the aims and objectives of the Society. We feel that our heritage is important to us and the aims and objectives of the The Royal Society of St. George sit well within our Association. The Royal Society of St. George, Enterprise House 10 Church Hill Loughton Essex IG10 1LA England. Dear Richard, I hope you are well. I'm so sorry it has taken so long to write this e-mail. I thought things were supposed to quieten down after a wedding but we still seem to be very busy! We wanted to write and say thank you so so much for being our Toastmaster. Put simply, you made our wedding. When Chris and I got engaged and started planning our wedding we decided that we didn't need a toastmaster and that one of our ushers could do all the announcements etc. How wrong we were. The announcements and introductions are just a small part of the work you do in the run up to and the wedding day itself. When Chris and I met with you, you instantly put our minds at ease and went through with us every single detail of the wedding day. For any bride, her wedding day is one of the biggest days of her life and Richard, you made us feel like it was just as important for you. Any time I needed to speak to you before the wedding, you were there happy to help and offer advice. On the wedding day itself, you were invaluable, you made the day flow effortlessly. All our guests commented on how lovely you are and how well you dealt with getting their attention and moving them from one area to another. We knew as soon as we met you that you would bring so much to our wedding day but two moments from the day, that may seem a little insignificant to others, made me realise on the day itself how wonderful you are. When we arrived back to The White Hart after a wonderful journey on the horse and carriage I walked across to pat the horses and say thank you and after a long two and half mile trip from the Castle they were naturally very warm and I got lots of horse hair stuck to my hand. You instantly ran off to your car to get some wet wipes. Another moment that sticks in my mind is when we were called for the receiving line. You came to get Chris and I and as we were walking to the Barn I realised that I hadn't seen the DJ. I turned to you and you said "The DJ is here, I've spoken to him, and Take That is ready to be played at twenty two seconds in to the song"
Throughout the entire day you were always on hand and when you weren't helping Chris or I with something, you were off making sure that everyone was prepared for the next step in the day. Thank you so much for being our Toastmaster and for ensuring our day went perfectly. We couldn't have asked for more. Most of our members from the counties around London would be pleased to assist you with your functions in and around London. There is a list of many of the top London venues that we are please to work at on our links page. This list is by no means complete and we would be happy to work at any other venue that you may choose to use for your function. Some London Venues that we are pleased to work at. Carlton Club, 69-70, St. James's Street, London, SW1A 1PJ This club was founded in 1832 and continues today in a beautiful Georgian clubhouse in the exclusive St James's area of London. Chandos House, Royal Society of Medicine, 2, Queen Anne Street, London, W1G 9LQ Chandos House is an exclusive Grade 1 listed Georgian Townhouse venue, built by the Adam family between 1769 and 1771. Restored to its original splendour yet retaining many of the renowned Adam architectural features, the House now offers five principal function rooms, each with its own unique character and ambience. All of our rooms have natural daylight and there is a charming outdoor walled Garden Terrace, which provides a tranquil haven in Central London. Cinnamon Club, The Old Westminster Library, 30, Great Smith Street, London, SW1P 3BU Top restaurant in the heart of Westminster offers a Modern Indian dining experience. Set in the historic Grade II listed former Westminster Library, the restaurant presents constantly evolving menus and a carefully matched wine list - all designed to reflect an ethos of innovation and creativity in one of the most stunning private dining rooms in the United Kingdom. Freemasons Hall, 60 Great Queen Street, London, WC2B 5AZ 020 7831 9811 Freemasons’ Hall is the headquarters of the United Grand Lodge of England and the principal meeting place for Masonic Lodges in London. Grand Lodge has been in Great Queen Street since 1775, the present Hall being the third building on the site. Built between 1927–1932 as a memorial to the Freemasons who died in the First World War, it is one of the finest Art Deco buildings in England, and is now Grade II* listed internally and externally. In addition to the Grand Temple (seating 1,700) there are 21 Lodge Rooms, a Library and Museum, Board and Committee Rooms and administrative offices. The building is fully open to the public. 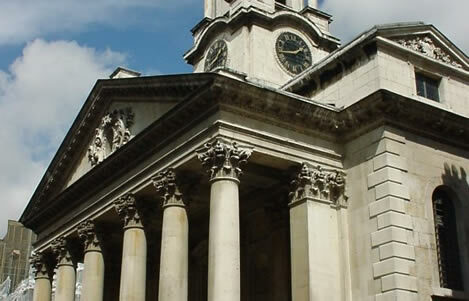 For further information on our free public tours please click here, and if you would like to hire Freemasons’ Hall please click here. Mandarin Oriental Hotel, 66, Knightsbridge, London, SW1X 7LA We offer a distinguished meeting venue with our grand Victorian façade, rich interiors and unrivalled location. 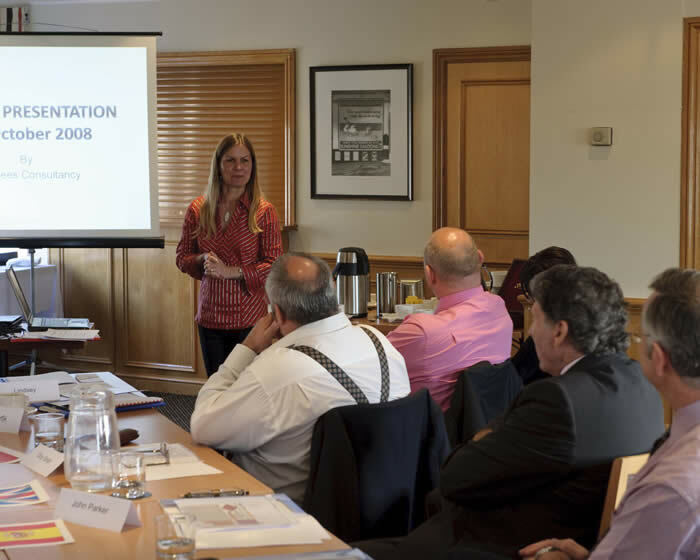 We provide training for other Associations that would like their member toastmasters to be trained on a one to one basis and to a high quality standard. and make your event run smoothly. We train more successful toastmasters each year than any other organisation that provide toastmaster training courses. This may be due to our unique one to one tuition and our focus on what you would like to get from your training. It is also interesting to note that our testimonials from attendees at our training courses are all quality testimonials from people that are turning out to be great toastmasters. This may be because we care for our own members and for their success. We always strive to give them the highest possible level of service when they undertake their training as toastmasters with our Association. Skilled Professional Toastmasters for hire that will care for you at your function. We are here and ready to help you. If you are looking for a professional that will provide services for your function in a way that is somewhat different from the norm - you are in the right place. We have no stuffed shirts here! Our toastmasters are highly trained and extremely client focused, which means that you will get exceptional service from people that care about what you want. Our training and code of ethics is designed to make sure that you can trust our members to deliver quality from your very first meeting and throughout your event, in exactly the style and way that you want, and with confidence. 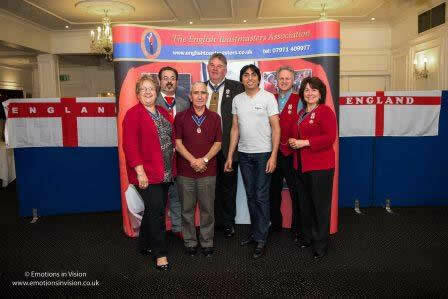 The English Toastmasters Association and our members. We are here to help and advise you, whatever your event or occasion. The professional toastmasters in our association are here to make sure you get a smoothly run, well-managed function. 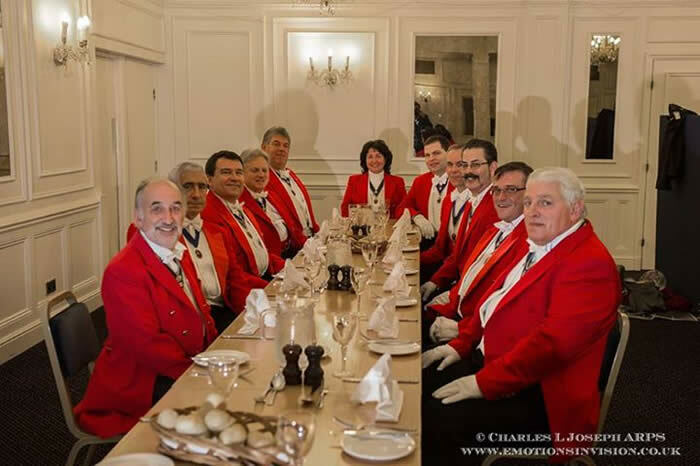 Whether you need a toastmaster for your wedding of any type or culture, civic or civil function, charity ball, garden party, Masonic ladies festival, retirement party, corporate event, product launch, fund raising event or virtually any other type of event, we are here for you. Where professional help and or management is essential, we are your best choice. Our members are guardians of etiquette, which means that they will help and guide you through the code that governs the expectations of social behaviour. 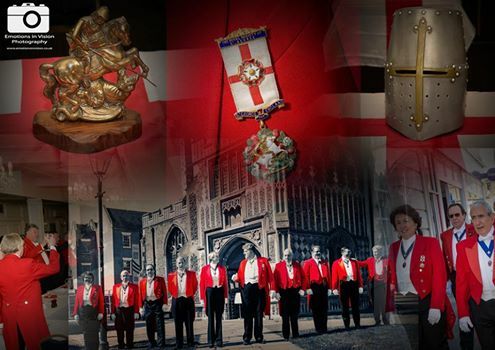 Our Association is based on tradition but with a modern twist. Each of our members will be pleased to focus on your needs and make sure that you get what you want. We have also listed on this site, all the other main organisations that represent the interests of toastmasters, that we can find. We serve you the way that you want us to. Our Association recommends that our members work in the style and way that their clients prefer. We do not dictate to our clients what they should have or do. Our members will listen to what you want, notate and check with you that they have understood what you want and deliver excellence. We are here to serve you and it is our pleasure to do so. If you are having a formal function - our members will be pleased to assist. If you are having a fun and friendly event - our members are here to help and encourage you and your guests. At this type of function it is usual to consider a very important element to complete our attire, that is, a toastmaster with a beaming smile. Our members believe that every one of their clients are special to them and so are all of our clients' functions and their guests. 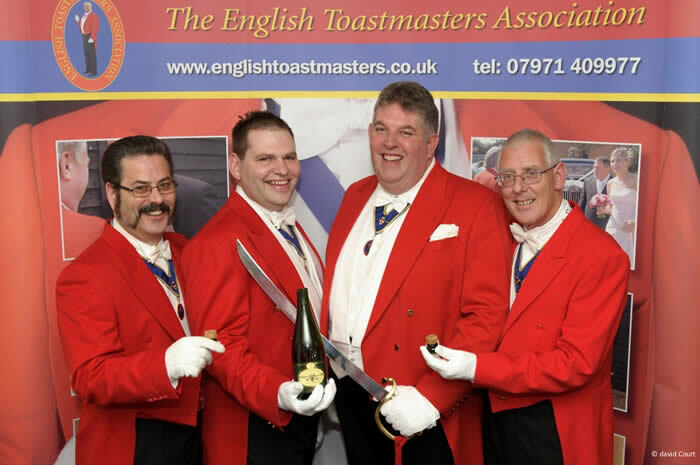 If you wish to hire a toastmaster for your wedding or function, whatever and wherever it is, worldwide, you have an excellent choice of skills and experience to choose from here at the English Toastmasters Association. You will find that our members will be focused on your needs and you have a tremendous range of very talented individuals to choose from, right here, to give you the very best service that money can buy. Extra specialist expertise may be brought in, to offer different view points from other professionals such as photographers, caterers and venue management. The importance of networking within the events industry is also highlighted as this is often crucial to your ongoing success. 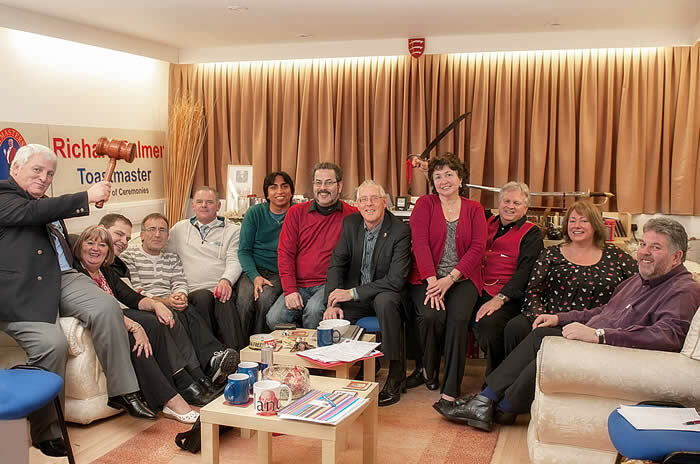 Some of our own more experienced toastmaster are also often on hand to share their own experiences and to start the development of new relationships to help and partner new members. Courses are run at dates and times to suit you and are geared to your existing experience so that you may learn in the best way and style to get you the results that you want. All moneys paid go into the course, tuition and your development rather than, on what may be, quite costly accommodation. New members may be linked on some of our other web sites to help your name get established and known in the business. Whatever is not covered in the three day course may be covered in greater depth at times to suit you, when you need further information, and without further charges. Our meetings on demand keep you in touch with your colleagues and afford you networking opportunities, experience and work sharing opportunities which are totally unique to The English Toastmasters Association. We are unlike many other associations in that we do not sell work to each other, but prefer to help and support each other to the benefit of our clients. It is interesting to note that we are being followed by other toastmaster training schools who now state that they are thinking about offering further Professional Development for their members. Who Knows? We are in rather a unique position. They may one day also publish a Code of Ethics that includes not drinking alcohol whilst working for clients. That would really bring them up to date!! We have heard of some comments that some toastmasters do not see the necessity for the non drinking rule. May we suggest that we consider this to be a matter of professional etiquette to show the correct respect for our clients. At the prestigious English Toastmasters Association we offer first class training services with ongoing support and a structured career development path for toastmasters, masters of ceremonies, town criers and celebrants. The picture above shows some of our toastmasters attending the October 2012 Trafalgar Day Members Meeting at The County Hotel, Chelmsford, Essex. There were toastmasters from Norfolk (both John and Kim), Kent, Suffolk, Surrey, Devon, Hampshire, Oxfordshire and Essex present. 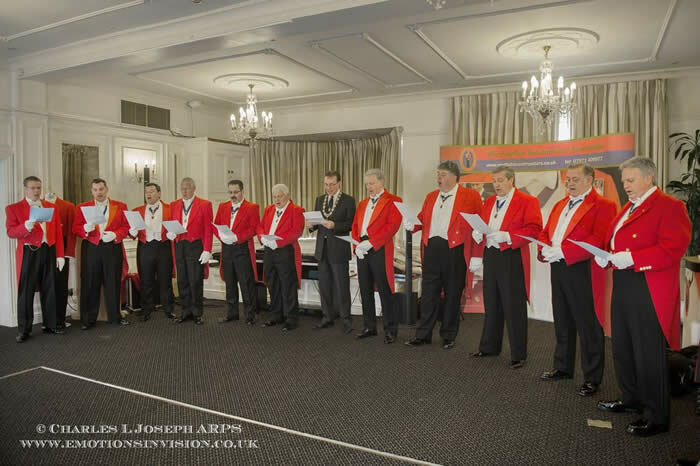 Would you like to join our Association or learn to be a toastmaster or Master of Ceremonies and perform your duties to the very highest standards? I have to put the words of this letter on the first page of our website for several reasons. This letter came in from one of our members, who has been a pleasure to work with and has been working in the wedding and leisure industry for some years. Having watched toastmasters working and then employing one for his own wedding, this toastmaster decided that he would like to become a toastmaster and work to the highest possible standards. A very kind and caring gentleman that takes extra care of his clients and I think that this letter helps you to get an idea of what we are trying to do to support our member toastmasters and also to improve the quality of toastmasters in our industry. I rather think that a letter of thanks is long overdue, and needless to say this correspondance is sent with heartfelt appologies for my tardiness in writing. However, moving happily forward I did want to write to you both and convey my sincere gratitude and appreciation for your assistance, help and support since my inception into the English Toastmasters Association. As you know, a previous personal experience left me somewhat dubious of so called "National Associations" that are run as a private entity and as a result I was somewhat hesitant in joining the ETA, simply for fear of parting with my hard earned cash only to receive back - not a lot. I can whole heartedly say that this was not the case with your good selves - moreover and in my opinion, the complete ethos of the ETA, is unrivalled within the industry. The post-training continued and constant support, advice and time is truly unbelievable and it goes without saying that I am extremely pleased and proud to have chosen such a well run and organised association that actually cares about its members and their career path. As time moves rapidly forward I am confident that with the backing of the E.T.A. and you both, I can look forward to the future of toastmastering as an exciting and prosperous career. In the meantime I am really looking forward to seeing you again. With fond regards and thanks again. 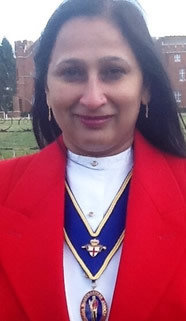 R. H.
Thank you for your patience in responding back to you following completion of my successful training and membership to the English Toastmaster Association (ETA), affiliated to the Royal Society of St. George. To others considering undertaking training with you both I would say this…”it certainly did what it said on the tin!” The evidence for this was completion of the training on the Monday, collection of my uniform from a London supplier on the Friday and on the way home I received an unexpected call from a hotel in Lincolnshire who needed a Toastmaster for a wedding the next day as they had been let down at the last minute! Thank you Richard for putting my details on the ETA website so soon after completion of my training! My first wedding which I will be writing up for ETA members went really well and the intensive and personalised attention throughout my training gave me that confidence to come up with the goods on the day. In my opinion Richard and Linda are the perfect role models for facilitating the toastmaster training with their previous experience, active support throughout and attention to every last detail. I really feel I have joined a family of Toastmasters in the ETA as well as a professional network. The inclusion of optional seminars as part of ETA membership is an excellent idea and promotes a sense of camaraderie and peer development for Toastmasters that makes it stand well above other similar organisations. I look forward to making a useful contribution in the ETA and in promoting excellence with my future clients…one of the obvious intentions of the ETA. Thank you Richard and Linda for beginning as professional toastmaster facilitators and ending as what I am sure will now be a lifelong friendship. I will fully endorse Richard and Linda’s ETA training within my own circle of influence and I am sure you will continue to go from strength to strength. Keep up the good work and for giving me an excellent start on my Toastmaster journey. I hope that these letters will give an insight into the way that our Association is pleased to work to support our members and further benefit their clients. We are proud of the levels of service that our members will deliver to their clients as they understand how much more we are able to do to make our clients feel cared for and special. If you are thinking of becoming a toastmaster, there is a reason that we are the leading Toastmasters Association for training and ongoing support services for our members and that is mainly due to our professionalism and the higher levels of commitment that we offer our members. We would be pleased to hear from quality people who would like to embark on a journey into our industry with a caring and supportive Association. for a friendly chat and further information about how to get started or to become a better toastmaster. We run a well structured programme of events for our members to network with each other and to make sure that they are well informed and able to deliver excellent services to their clients. The picture above shows some of our members attending our Trafalgar Day Special Meeting. 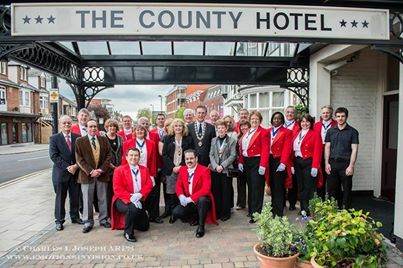 The pictures above show our toastmaster members both outside and in The County Hotel, Chelmsford, Essex and was taken by David Court. Some of our members very kind comments about this meeting are shown below. Dear Richard and Linda, Further to the recent Trafalgar Day held at the Chelmsford County Hotel, I thought I would put pen to paper (or rather fingers to keyboard!) to thank you both for a most superb and excellent day. I have to say the effort in creating such an event was clear and unsurpassed as was the thought and orgganisation behind it which created a hugely interesting, informative and enjoyable day for all, although I rather do think you are in danger of raising the expectations to a level which will become ever more challanging to continue surprising us with your fantastic support and help. Once again yet another excuse for me to say how very pleased and proud I am to belong to a great organisation and to be part of what is probably the best Toastmasters' Association World Wide! Well done, you two for yesterday! Good to see you both again! Good to meet all of those other T Ms, I certainly learnt some things. Thanks Kim Sheldrick Toastmaster in Norfolk. J. C. wrote: "I attended the Trafalgar Day Meeting of the E.T.A. which was held at the County Hotel in Chelmsford yesterday and I would just like to Thank Richard Palmer, Linda Palmer & Russ Rainger, the three founder members of the English Toastmasters Association for a fantastic day, a great Agenda with great ideas and suggestions put forward by all those who attended. Dear Richard and Linda, Thank you for a very informative day. I know just how much endeavour goes into preparing and delivering something like this and you should congratulate yourselves on a job well done. With a wide range of experiences present around the table, it is quite a challenge to ensure there is something for everyone and from one meeting to the next not too much duplication. I thought you achieved this today with flying colours. In the months ahead, I will try to do better in supporting the masterclasses but I have become so unexpectedly busy with my celebrancy that it has proved quite a challenge to escape from the clutches of funeral directors. The information about optimising photographs for the Internet and getting the edge to raise more money at charity funtions where most useful and opportunities for networking with career professional development and on tap support help with the further development and maintenance of higher standards are major benefits of belonging to the ETA. Dear Richard and Linda, Thank you for an excellent day with you at the Trafalgar Day event in Chelmsford. I really enjoyed it and learnt a lot. Very best regards Simon Tobin Suffolk Toastmaster. T. P. wrote, "Without the ETA I could not manage and have progressed as a toastmaster on my own. It is a fantastic organisation run by the most caring and supportive people I know. The whole agenda was meaningful and positive giving a common sense of purpose, camaraderie and great support. Not all our time is spent in our uniforms at our larger meetings. We normally dress for the photo shoot at the end of the morning session and change out of our uniforms for lunch. The four pictures above are courtesy of David Islip Photography who was one of the three photographers and one videographer at our meeting. David's work is excellent and more information is available at www.david-islip-photography.co.uk David has thanked us for "a very educational and informative day - fun also!" Dear Linda & Richard, Yesterday was a FANTASTIC day, one which I really did enjoy, Richard I think what you have achieved with your English Toastmasters Association is just fantastic and I think other professionals need to look at. THANK YOU, THANK YOU so much for inviting me. I really did gain a lot from the meeting and have made new friends all of which I hope to work with in the future. At some point Richard I would like to meet up with you as I really do feel you are onto a winner with the format of your meetings which a lot of other wedding professionals should get involved in to make our industry a better industry to work in if we all understand each other and all work together. What I would like to do is invite you and Linda to the MPA London & Essex Regional print Comp on Wednesday 16th May 2012 at times to be confirmed ( approx time to start 4.30pm), and hopefully you would both like to join us for dinner. Hope to talk to you both soon. The best meeting so far with a clear agenda, a very open, free flowing day that was well organised with breakout subjects that were well chosen and valuable. Two of the major benefits of belonging to the E.T.A. is the back up and support and being a professional working to a strict code of ethics. I enjoy the E.T.A. because they are like minded and great company. J. C.
Hello Linda and Richard, Thank you for the very enjoyable and informative day we had yesterday. Mr. Palmer Thank you so much for a fantastic day. It was the best meeting yet and hopefully people will act on some of the suggestions that were put forward. I am stunned that each time I meet more members of the E.T.A. they treat me like one of their own and prove to be such nice people. J. C.
RICHARD & LINDA, Tempest Fugit = time flies. My fellow members agree wih me that when one enjoys the day time passes so quickly. You and Linda are aware that my two friends and I traveled to the E.T.A. St Georges' Day seminar together in one car. Economy is one reason, but more important is that it's an additional way to add to the networking and relationship building exercised by happy faces around members table. Educational, encompassing, enterprising and enlightening, E.T.A. ! 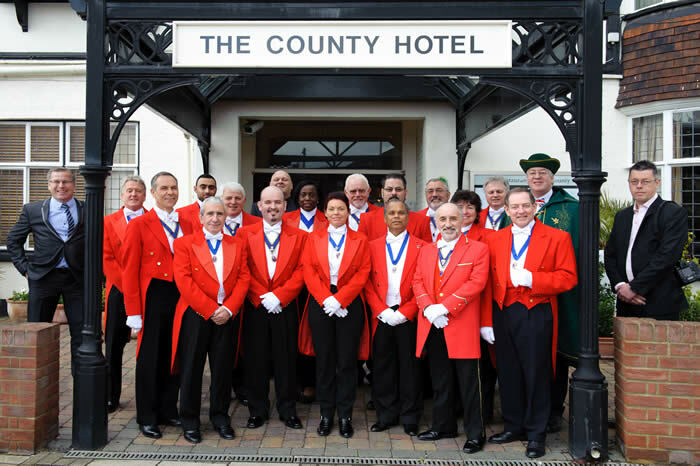 The picture above shows our toastmaster members outside The County Hotel, Chelmsford, Essex and was taken by Harish for David Court of CourtonCamera Photograpy . With a special guest from The Confrérie du Sabre d'Or which is devoted to promoting the act of Sabrage and the enjoyment of Champagne. The Heart of the Order is the growing number of Caveaux de Sabrage where Sabrage may be performed. The Caveaux range from small restaurants and Wine Bars to the grandest of Hotels.They all have two things in common - Champagne and fun. This is a wine and far too good to be left only to special occasions. 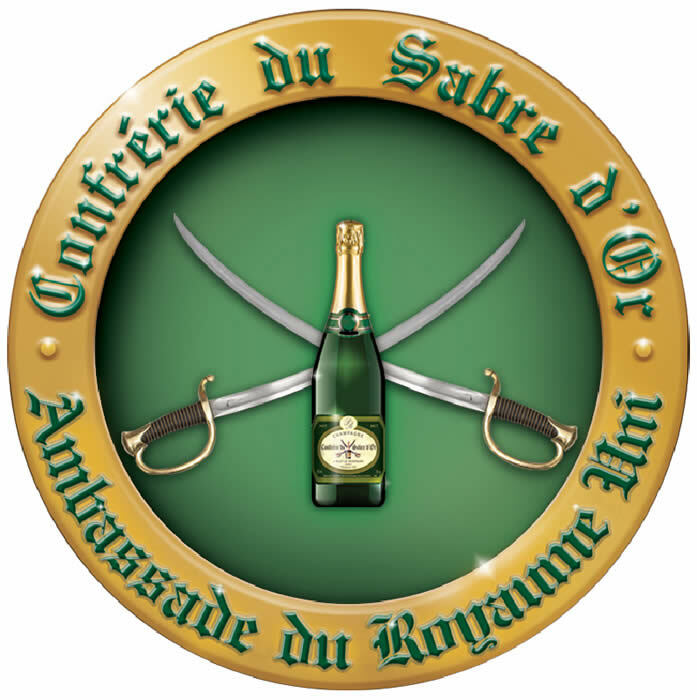 Some of our members will be pleased to introduce you to the Confrérie du Sabre d'Or and the fun of Sabrage. Our February meeting was enthusiastically received and we all shared information and knowledge about our experiences as toastmasters and at the same time covered subjects from sales and marketing to Hindu weddings. It was great to see our latest two members, Arjun Desai and Leona Cunningham being well received into our fold. With three new members already lined up for their training during March, we are pleased to be known as the most active toastmasters organisation. Well, why shouldn't we have fun during our meetings? With our ongoing life long learning program already planned out for the next twelve months, many of our members find that the meetings are too good to miss. Our 2011 Christmas Quiz was held at our headquarters in Essex and thoroughly enjoyed by our members and Kelvin Moir who was at our very first training session over seven years ago. Also in attendance was Harish Patel, an excellent videographer and also an Honoury Fellow of our Association who may be contacted on 07729 487861. The day was lively and fun but very useful as a learning and networking experience. Members attended from Oxfordshire, Berkshire, Essex, Kent, Buckinghamshire and London. The English Toastmasters Association continues to get stronger with experienced members enhancing their training by attending regular training and special training sessions at The County Hotel in Chelmsford or at our Headquarters in Danbury. At The English Toastmasters Association we are working together as a team. Another great photo from D. C. Thank you David for your time and support and for catching the moment as you always manage to do showing that learning with friends in the busines is fun. A brash statement! But just look what is happening and why we are moving on at a pace. Our members have the opportunity to meet one another to work together and learn together. Even though we have some of the best toastmasters in the business we still enjoy learning. By pooling our knowledge and experience, we are growing stronger together and are all able to offer a better quality service to our clients. Working as an alliance with a specific goal, namely to give our clients the best service that they could ever dream of. Each member works closely with each other and cares for each other. As a team, we are stronger than any other Association. Our regular meetings are always popular and our members are talking to each other to help each other in many ways. We share jobs, knowledge, equipment in some cases and care about each other. We are there for each other if ever there is a problem such as illness. If one of our members is unable to take a job, we will find another English Toastmasters Association toastmaster to look after the client. Our general principal is that we do not sell work to each other, rather we believe in giver’s gain. That is to say - If I find business for you, then you will probably want to find business for me, to reciprocate. We motivate each other and look forward to each other’s company. 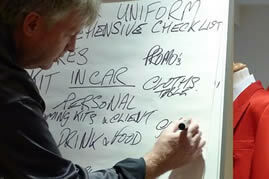 More so, we come away from each meeting on a high and with a “to do list”. Targets to get the word out, “that toastmasters can and do make a difference at functions”. We all are working together with a common interest and goal, to be the best that we can be for the benefit of our clients. We have a group of like-minded people available to help us all to succeed where we get the benefit of differing perspectives, input and feedback which enables us to make better decisions. Our mastermind team can bring resources and connections to the table that we may not have had on our own. We are all accountable to each other and are all inspirational when working together as a group. This enables us to maintain our focus in achieving our goals. In other words we can “leverage” our resources from our group of Mastermind members for the benefit of all the members of our Association. This concept has been the driving force behind many businesses throughout history and there is plenty of room on this Mastermind team, because we have the resources available to allow us all as an Association and as individuals to grow in the way that suits each individual member. The Chairman for this meeting was Commander Chris Woods who was a very popular chairman with our members and guests. Our guest speakers were Kevin Pengelly from Pengelly Photography, based in Suffolk. 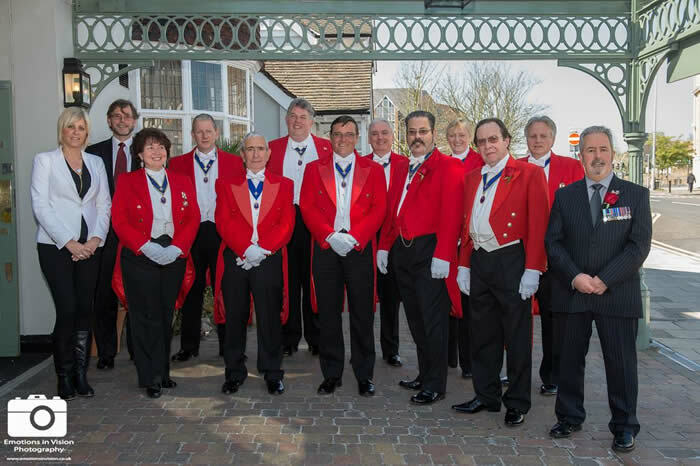 Thank you to Kevin Pengelly for the photo ( shown above ) of our members outside the County Hotel, Chelmsford, Essex, just before luncheon was served. Our Agenda for the day was very lively and well received. It must be said that the staff at The County Hotel in Chelmsford always provide a first class service with an excellent breakfast and luncheon in surroundings that suit our meetings very well. Thank you to you all at the County Hotel in Chelmsford. Richard: There is no doubt in my mind the Trafalgar Day seminar held today was the best meeting the association has run. Main mention must be made of the excellent manner that Commander Chris Woods took the chair. Fine selective vocabulary, a firm eye on the clock, well " navigated ". Members input was varied and informative, time passed rapidly as everyone found it fun as well as educational. -- Good growth . Very best wishes H. M.
Thank you for providing an exceptional day yesterday, full of relevant content and some very useful discussion. Thank you very much for inviting me to your Trafalgar Day meeting, it was very useful indeed to hear what Toastmaster's think about professional photography and I feel the whole discussion was very worth while indeed. I would like to thank everyone for the very warm reception I had and also listening to each other about being a photographer and Toastmaster and working together, I found it to be very useful indeed and enjoyed the whole day. Our mission is to establish and grow a quality organisation for toastmasters based on the highest levels of service, loyalty, and integrity. As an organisation, our aim is to provide consistently superior services for our members and to foster an environment that enables our members to achieve personal and professional growth and success. Our members' professional needs and objectives are paramount. Our vision is to be the highest quality Toastmasters' Association and leading provider of superior support for Toastmasters and Masters of Ceremonies worldwide. Our Association facilitates excellent quality training and marketing services which enable our members to exceed their clients' expectations and raise the profile of toastmasters and masters of ceremonies. By delivering superior quality services to our members and offering our members the highest level of training, support, loyalty and integrity, our members will be able to achieve personal and professional growth and success whilst providing consistently superior services to their clients. We operate to the highest standards, through our published Code of Ethics. Our members work in a caring and client focused manner. We will concentrate on what is important to our clients. Most other organisations for toastmasters do not either publish their Codes of Ethics or make them available for their clients to see. Being transparent in the way that our members offer their services helps to generate trust with their clients. Would you like to become a toastmaster for hire or work to a higher standard than you do at present? Would you like more work? Would you like to have better marketing and promotion? Would you like to know how to make your clients even happier by improving your performance? Would you like to perform your role and your duties to the very highest standards? Would you like to work to a published Code of Ethics that offers your clients total peace of mind and shows your professionalism towards your work and to your clients' needs? Some other organisations that represent toastmasters are beginning to copy our Code of Ethics but are still leaving out one of the most important ones. Our members do not drink alcohol when we are working for our clients and do not consider this to be 'a perk of the job'. We are here to serve our clients professionally. Please call 01245 222392 or 07971 409977 at any time for more information. We run more training courses and have more quality testimonials for training than any of our competitors. There are over 100 testimonials about our courses here on this site. This means that you know the quality of our training is second to none and you will not find better training anywhere else. The picture below shows members of our Association at one of our training days with Internet Consultant Sue Lees giving a presentation about working the Internet and using social media to get better known. Members of our Association get ongoing support and training for life, all inclusive within their membership fees. This gives them excellent value for money from their annual subscriptions. We are the one of the top three organisations for toastmasters because we work harder for our members, than any other organisation. Our marketing is far superior than any marketing from other organisations for toastmasters and therefore our members, in general, are busier than some other toastmasters. We have our own fully-staffed headquarters with state-of-the art training facilities. This means that you can enjoy your training as the service will be provided in the way and style that suits you best. We will also cater for dates, start and end times to suit you. We offer more, better quality and faster support for our members, including regular meetings, seminars and web services. All the benefits that a truly professional Association should be offering its members to help them with their professional development. Ongoing training and help is included in the annual membership fees. Our members carry on learning or gaining knowledge at the speed and at the times that suit them. You choose the speed of your learning. If you want more time and more help - we are here for you. Announcing a powerful new training course for those people who wish to learn the skills and secrets required to be a properly-trained and client-focused toastmaster. You now have access to the best kept secrets of how you can get sensational results when working for your clients, by attending our training courses and using ethical methods of client care that other organisations do not use or even understand. To uphold higher standards of training and focus on individuals' existing strengths, our courses for new toastmasters are held on a one-to-one basis only. If you would like to specialise in a particular type of event, for example weddings, we will be pleased to train you in the area of specialisms or expertise that you require as well as general training. Our Toastmasters Training School offers specialist training, geared to our candidate's specific needs. Amazing results from a higher level of training in client focused services. We will be pleased to discuss your requirements in more detail. We are also pleased to offer training for hotel staff and staff from other venues or businesses that have the need for further client focused staff training. Treat your staff and your business to specialised training for front-of-house staff including client care and announcements. Please give us a call. Most venue owners and managers comment that they have never seen welcome announcements for brides and bridegrooms the way that our members do it. Most guests say they did not know that a wedding could be so much fun. We would be pleased to offer training for groups or on a one-to-one basis for front-of-house staff, to give your venue or group the winning edge for client care and service. Amazing results from one to one training. Due to the client satisfaction and the comments that we get when we train on a one to one basis, training courses will only be offered on this basis to new members in future. Training courses that are run on a one to one basis have been found to be the best method of upholding quality training, based on the abilities and requirements of each individual candidate. The courses are generally held over three days and lead to the presentation of a certificate of attendance at the end of the course. There are no qualifications for toastmasters that are recognised by any educational bodies at this moment. We are working on formalising our courses at present and hope to have more news about our endeavours in the future. Although we offer one-to-one training courses, candidates will go out and meet other toastmasters and visit venues as part of our courses. One-to-one tuition is always available to suit your individual requirements, based on your existing skills and experience. We specialise in client focused services for our members, but are able to offer these courses and training sessions to non members of our organisation who wish to provide higher levels of service for their clients. We are pleased to do this because, by raising the standards in our profession, we all should create more demand for our services. Applicants may be accepted for training and/or membership of the our Association, from existing toastmasters who are members of other organisations representing toastmasters or their interests, subject to interview and agreement to our code of ethics and a minimum of one alignment day. We welcome toastmasters who wish to learn our different approach to higher level, quality service for our clients. Why train to be a toastmaster with us? If we really were to tell you why, it would be easy to give you our opinion of why we are the best organisation to train with on our one-to-one training courses and join for long-term support. However, we do not like to tell you when everyone who has been through our training courses have written their comments and they are on this site for you to read. Please visit our client testimonials page with comments from the people who have trained with us, to see what they think. Using a modern style of teaching we are now bringing new higher standards of training to our profession and meeting the needs of individuals according to their existing experience and future aims. We believe that once a toastmaster has been trained they will not know it all. We continue to look at every aspect of our work, taking the time to refine and develop new methods of delivering the best quality service to and for our member toastmasters. This in turn helps them to deliver higher quality services to their clients. For your continued satisfaction we believe that no matter how professional our work may seem, there will always be room for further improvements. We hold regular meetings for our members to bring new ideas and better methods of working to the table. Our clients' satisfaction is the inspiration for us to strive for excellent service. The picture shown above is of part of our office suite at our headquarters in Danbury, Essex, where we run our training courses. 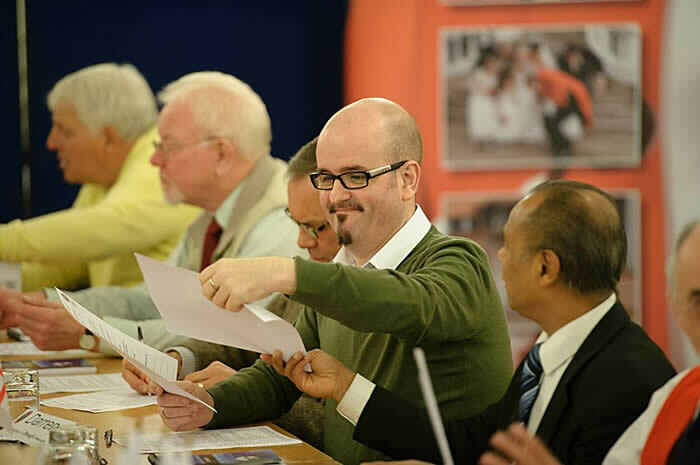 The English Toastmasters Association is the only organisation for toastmasters to have a full and published programme of events to help our members with their professional development. The events that we hold for our members are part of their ongoing professional development and are included in their annual fees. 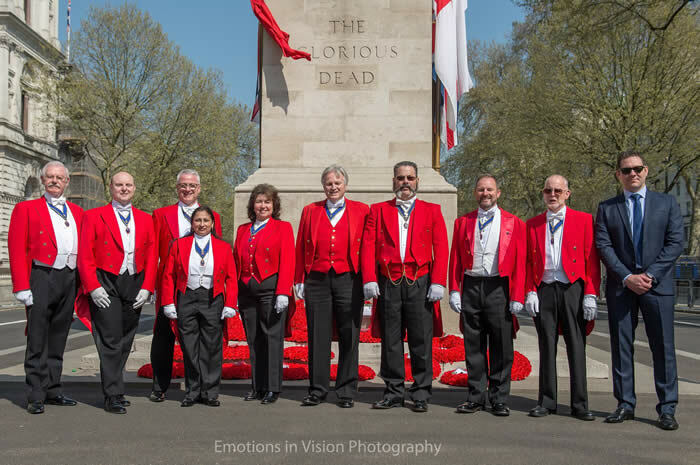 Our Association holds two full-day meetings each year with breakfast and lunch provided on or near St. George's day in April and Trafalgar day in October. At these meetings we have a packed agenda of items to help our members to achieve a higher level of professionalism and better services for their clients. There are ten fully-documented seminars which are held during the last week of each of the other 10 months. These seminars cover important relevant topics to help our members gain more knowledge about best working practices that are important to their clients. We are continually helping our members to grow their armory of information to make sure that their clients get the best attention to detail as possible. We have launched our country wide Road Shows and will be putting these on regularly. Our inaugural Road Show was held in Chesterfield on the 11th and 12th November 2009. (Further details are shown below) During 2010 our Road Show was held in Huntingdon and we welcome all toastmasters as well as our own members. See what the most lively Toastmasters Association is doing to raise the standards of performance and professionalism in our industry. We have better and more frequent training for new entrants into our profession and for existing toastmasters. Our Road Shows will normally be open for any toastmasters and potential toastmasters to attend on the first evening of the event and for our members on the second day. Please advise us of your wish to attend and we will make you very welcome. We are the only organisation for toastmasters to have our own headquarters with full time staff dedicated to the success of our members. Members may book appointments at any time to gain extra help and information regarding any aspects of their work. All these services and many more are included within the membership fees. Our marketing experts are constantly working to enhance the profile of toastmasters in general and our Association with each of our members. We also have a continual process to increase the awareness of the Association as being the Association to offer the ultimate quality services packages to our members. Our members are now finding that the marketing services that we employ are working very well for many of them. We are constantly promoting our site, facilities and members and are getting some outstanding results for our members. New and existing members are getting enquiries from clients directly from their own pages on this site. By using search engine registration and optimisation techniques, and sponsored links, we aim to give our professional members better value for money membership and higher rankings on the Internet. Our members are trained to consider each function as more than just another job. The wishes and interests of our toastmasters' clients are absolutely paramount. We have a published Code of Ethics which forms the basis of a service level agreement with each of our members' clients. Our members are also trained to take care of all other contractors working for their mutual clients at events that they attend. For our members we provide a secure area on this website, where documents and supporting information may be found, to further assist in providing very high quality services. 07971 409977 at any time. There follows an article from David Court at Court on Camera's BLOG on Saturday, 3rd October 2009 regarding our monthly professional training seminars. 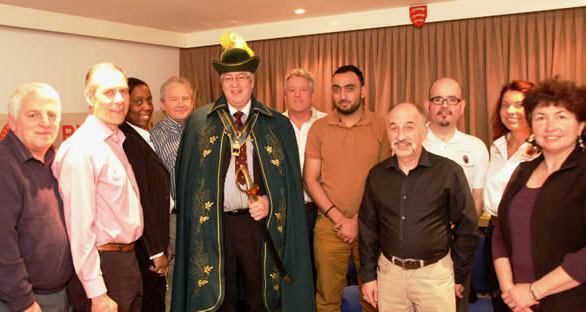 'On Wednesday 30th September I joined my good friend Richard Palmer and his fellow members of the English Toastmasters Association at their headquarters overlooking Danbury Palace in the heart of Essex for a training seminar led by Richard. Continuous professional development is at the heart of this organisation - the training session was attended by Toastmasters working throughout the UK and internationally as far afield as the USA'. D. C. was an excellent photographer who is based in Essex and is also very helpful when it comes to training our members in the art of working with our fellow professionals at all types of events, but especially at weddings. "Most organisations for toastmasters do not focus on helping other members of the team that work together to provide our mutual clients with a superior service. At our Association, we believe that we are part of that team and we need to be aware of how we can best help, serve and take care of our fellow professionals." As an Association, our aim is to raise the standards that toastmasters work to in our line of work for the benefit of our clients. Our toastmaster duties for our clients are generally far more extensive than those of any other Toastmasters belonging to any other organisations. Our toastmasters will be pleased to attend your wedding service or ceremony to put you at ease, help you get dressed and help in many other ways to make sure that you are comfortable as you start your day. We are aiming at having the happiest clients. Our Association is raising the bar for client services. Our toastmasters will focus on offering a higher level of client services. Our toastmasters will do more for you on your special day and at your function. Our members will go the extra mile for their clients as part of a normal day's work. On the evening of Wednesday 11th November 2009 we had our first open evening. Thank you from The English Toastmasters Association to our guests who visited us on Wednesday evening and during the day on Thursday. Just a quick note to say thank you for inviting me along to your road show on Chesterfield last Thursday. It's always good to hear the views of other dedicated professional people in the wedding business. Our special thanks go to Michael Wall Toastmaster and the Premier Inn for your help and support for this new event.